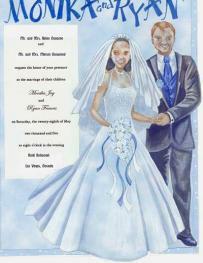 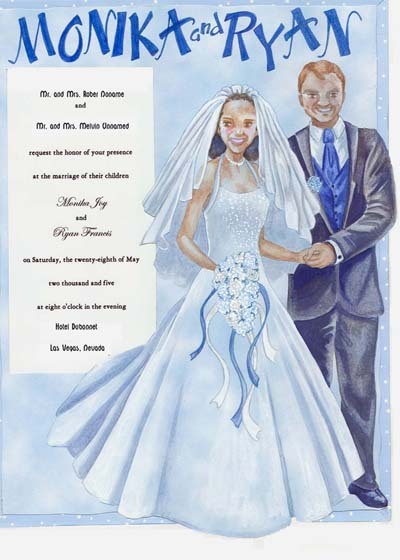 Custom orders taken for Weddings - Anniversaries - Birthdays - Holidays. 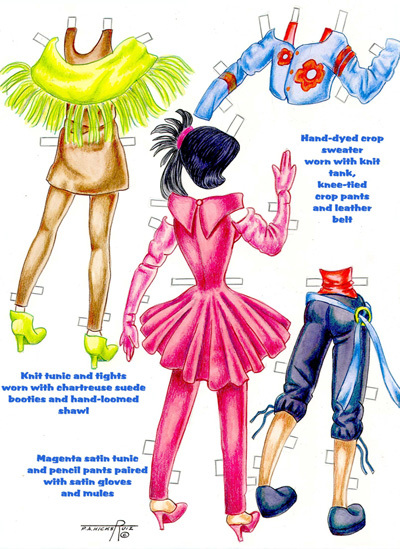 Pages - 4 Dolls - 1 Outfits - 6 wigs, scarves, etc. 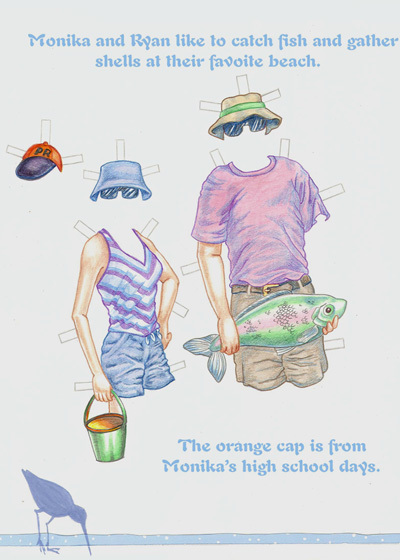 All rights not granted are reserved. 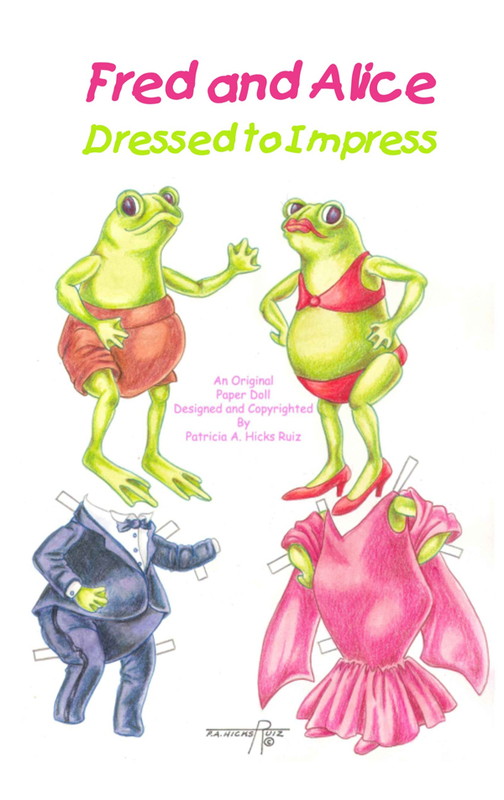 Unauthorized duplication or publication of any materials is expressly prohibited. 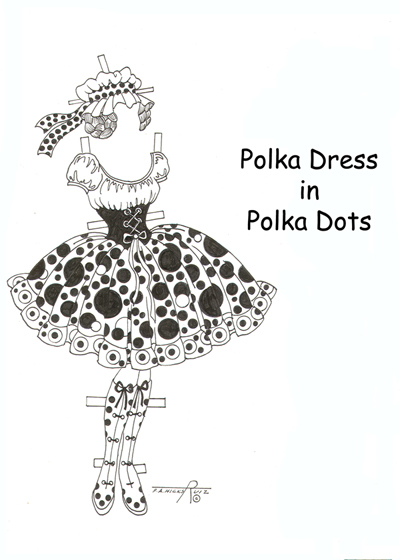 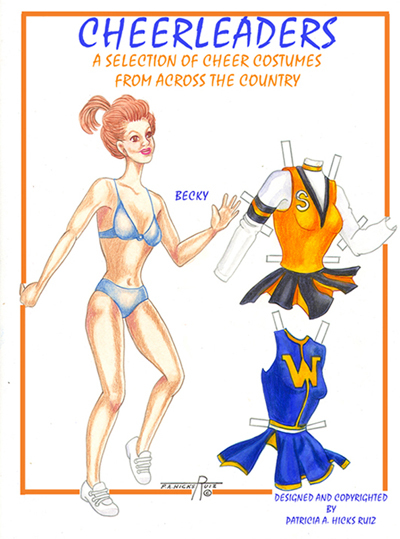 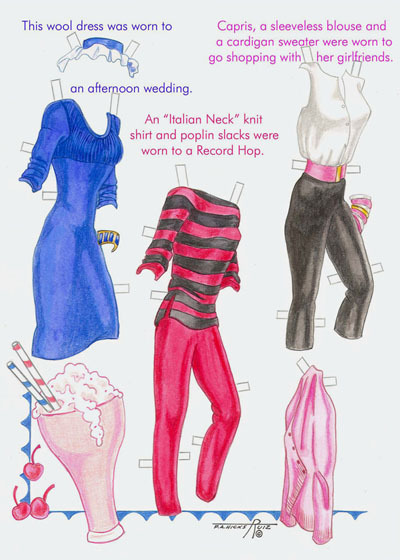 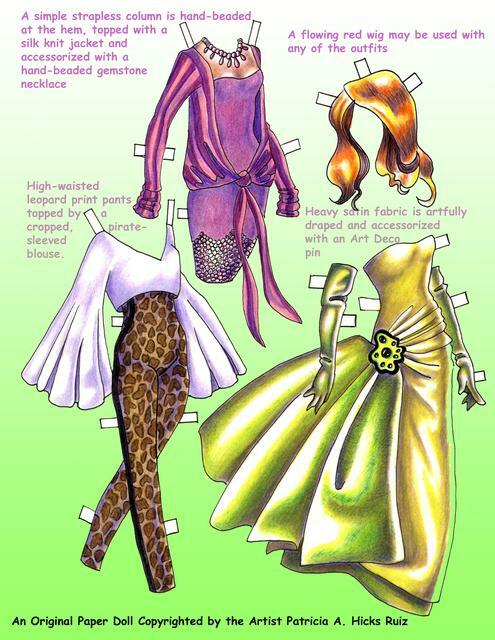 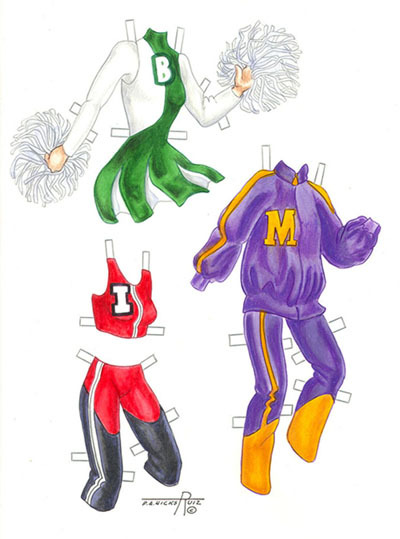 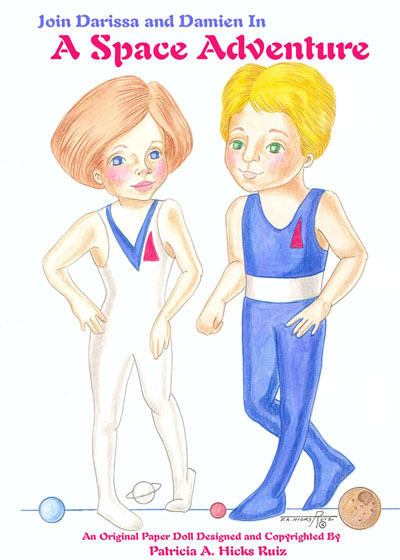 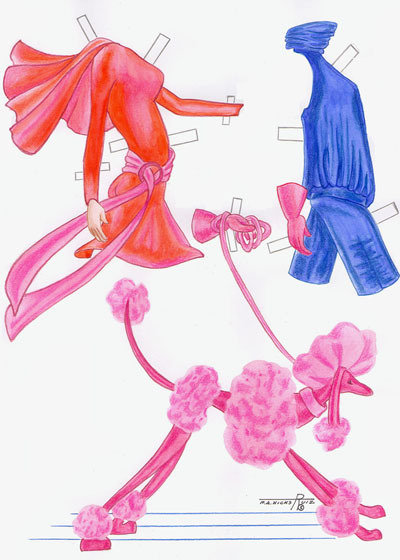 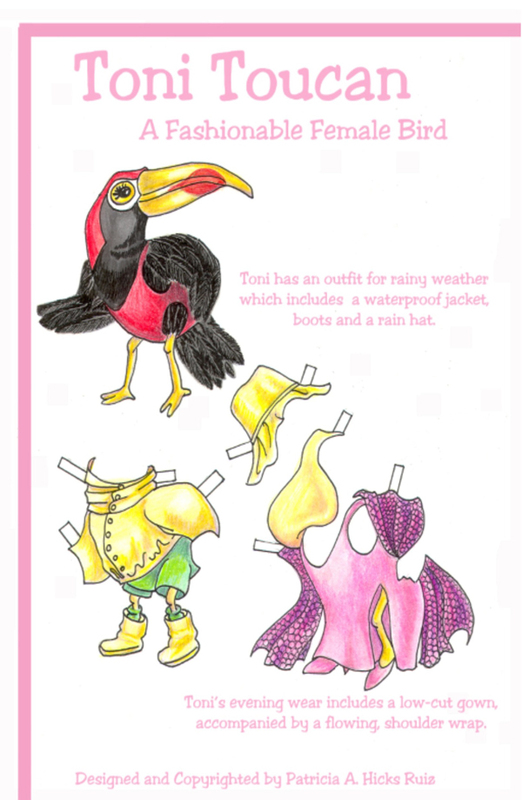 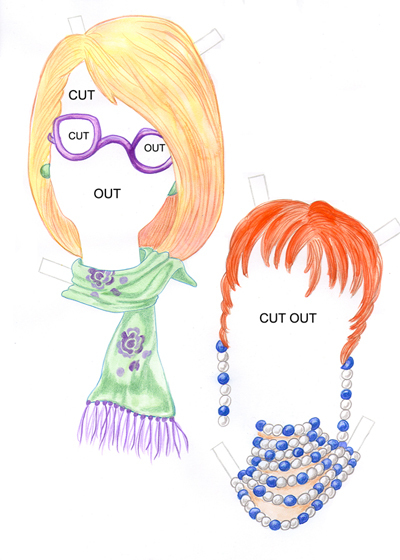 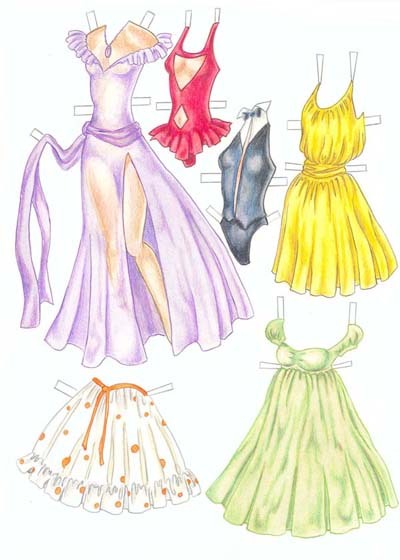 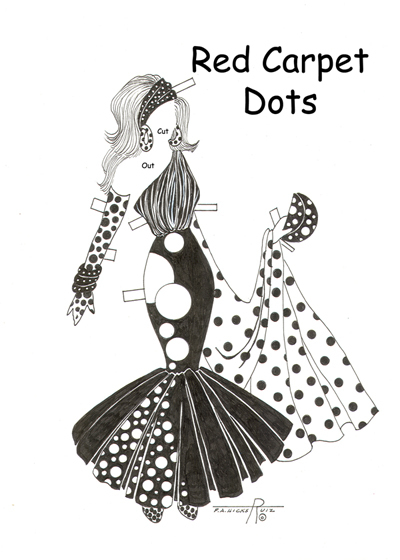 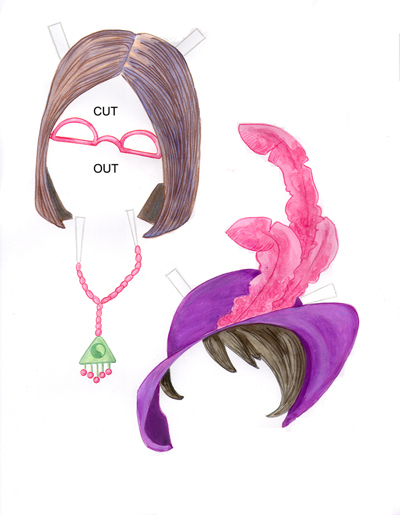 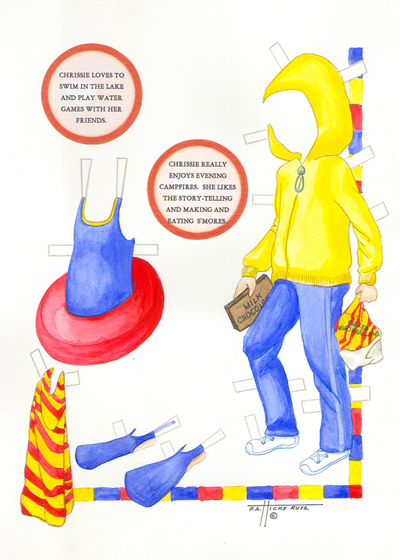 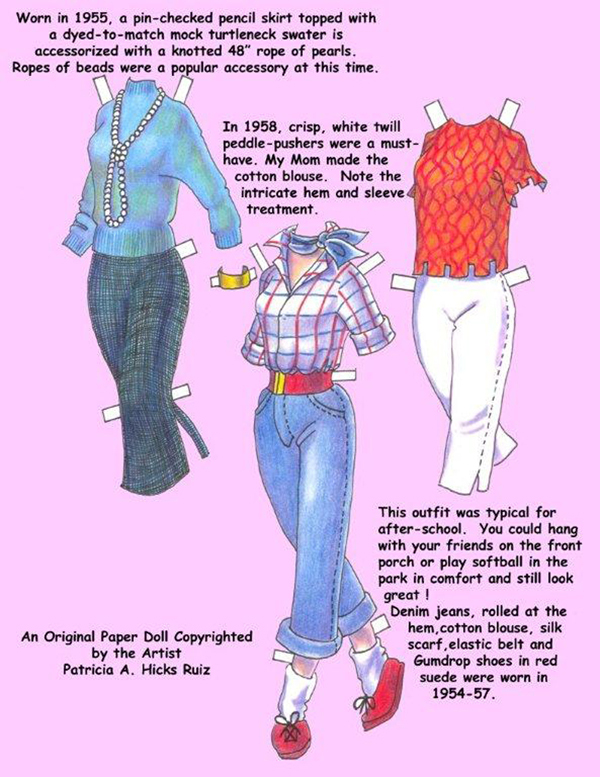 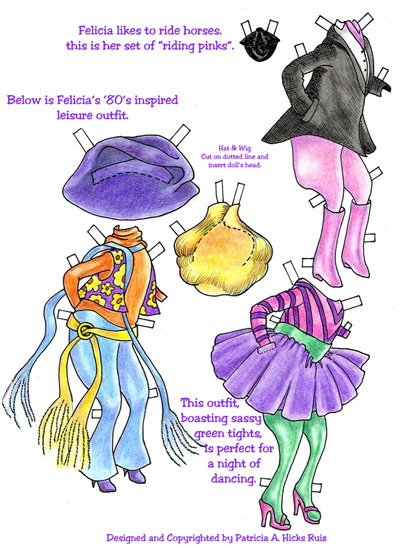 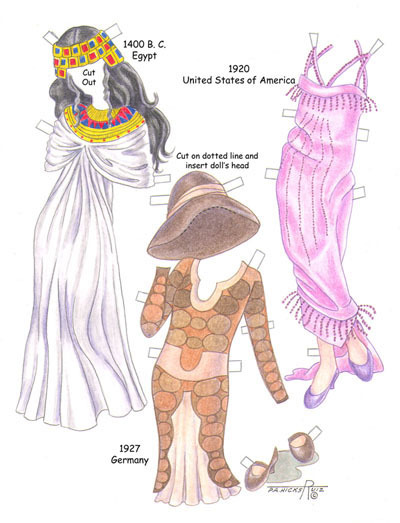 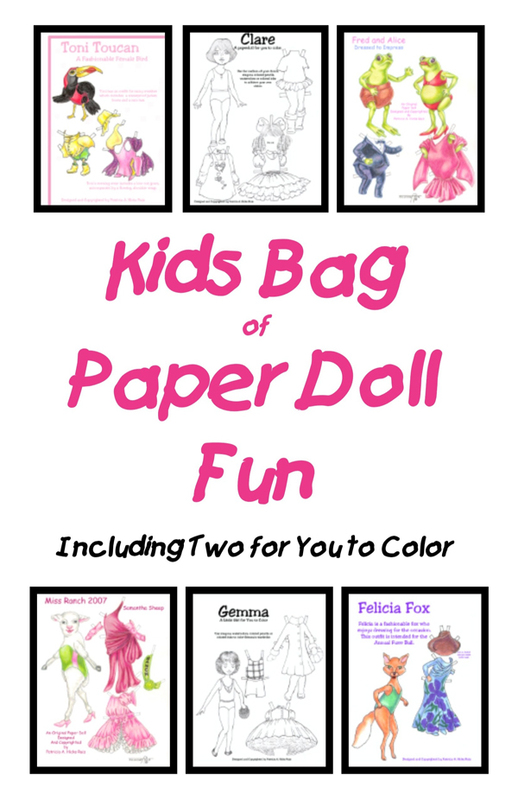 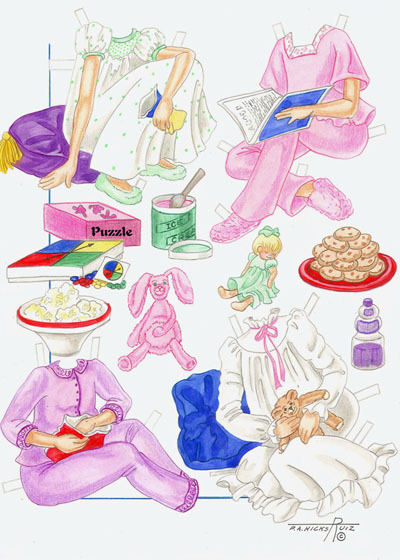 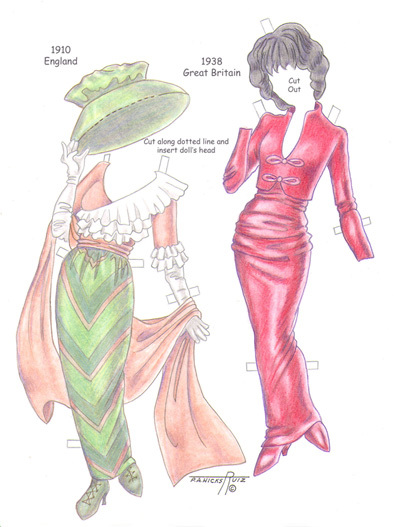 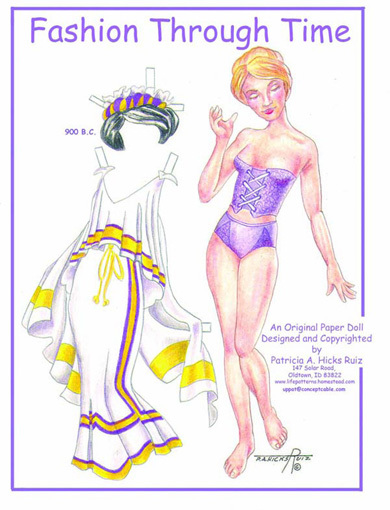 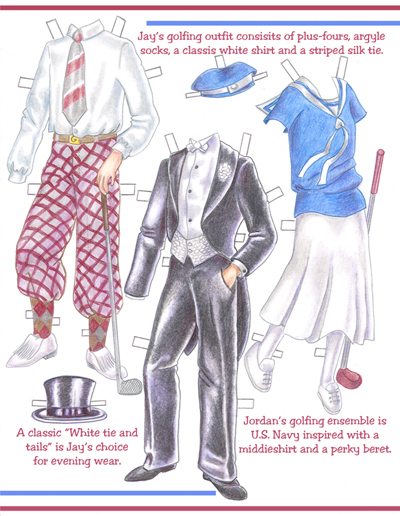 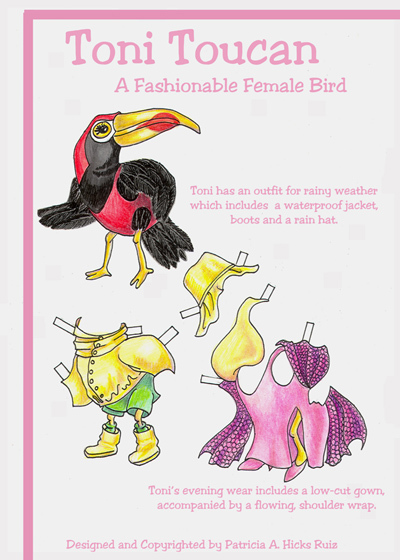 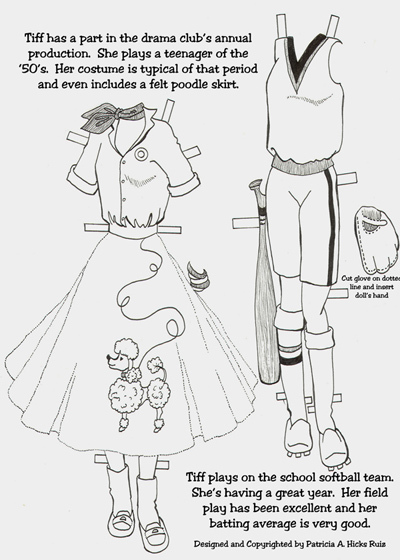 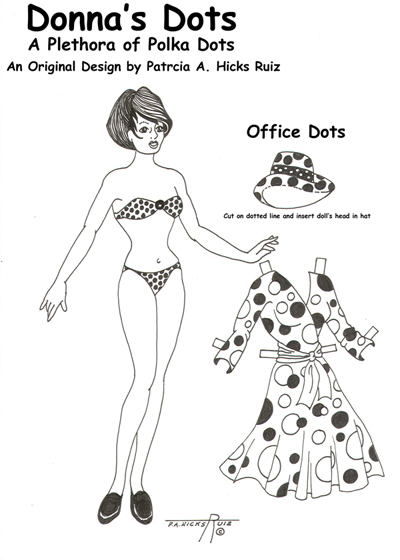 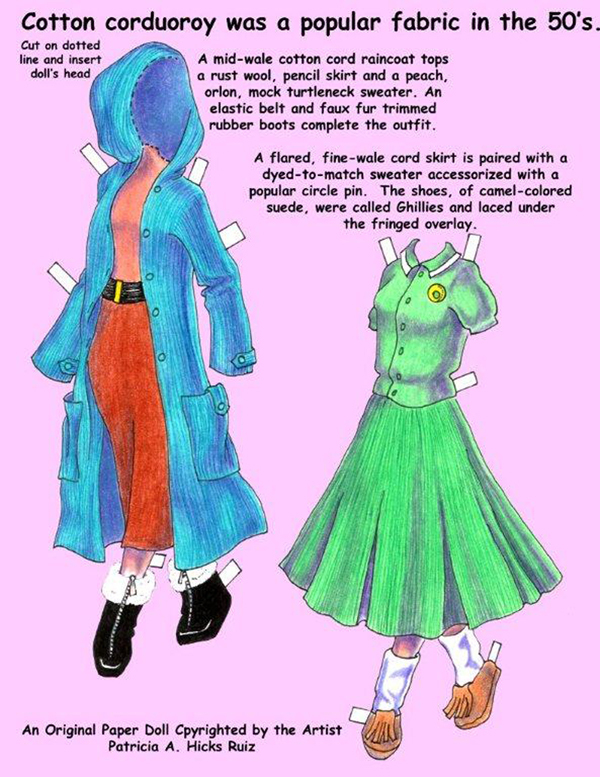 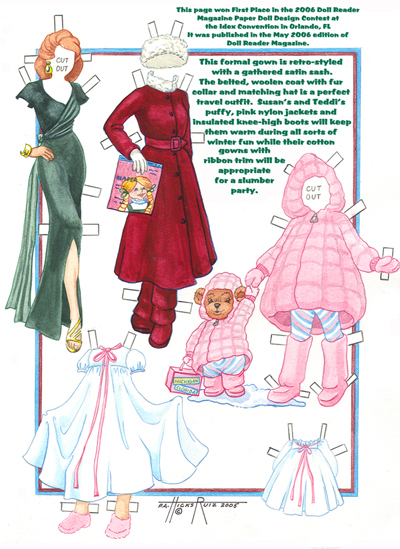 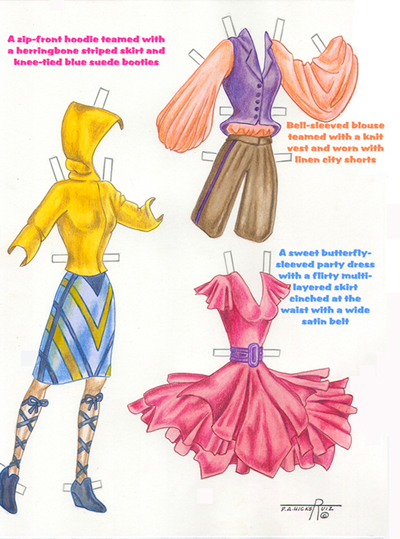 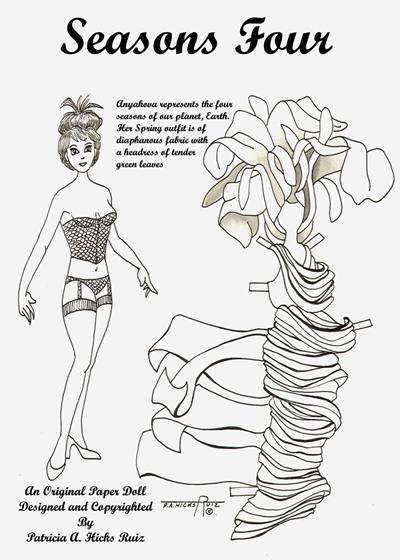 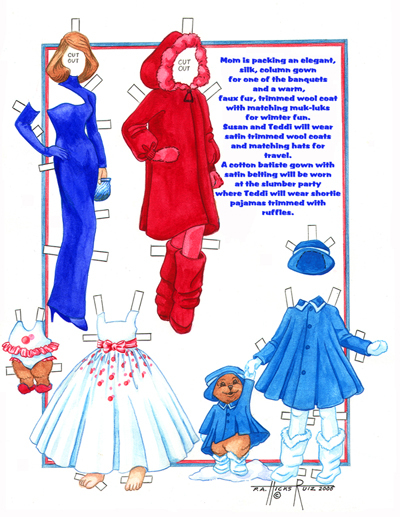 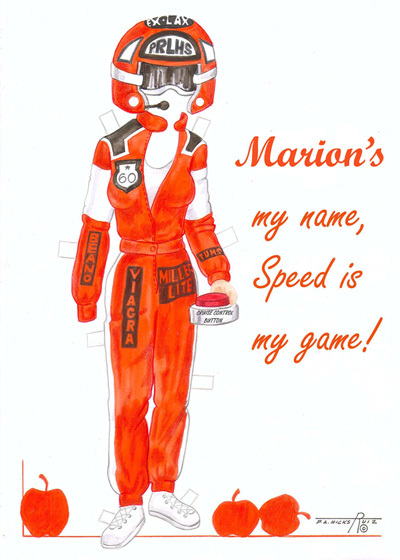 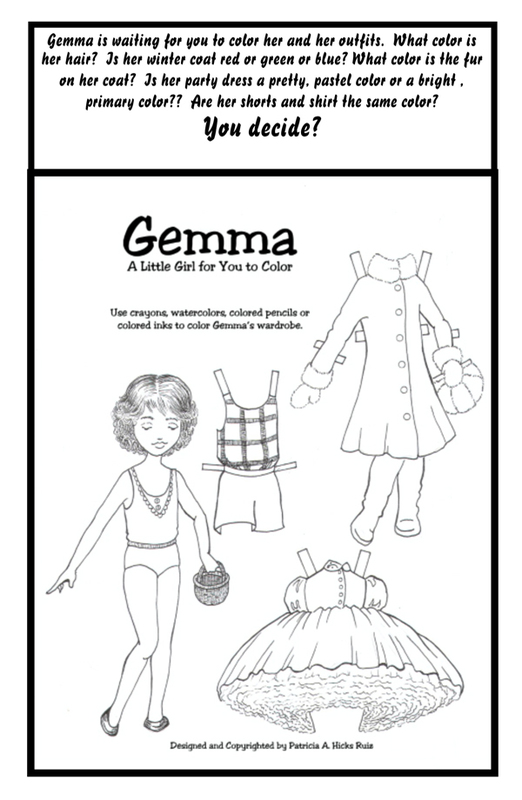 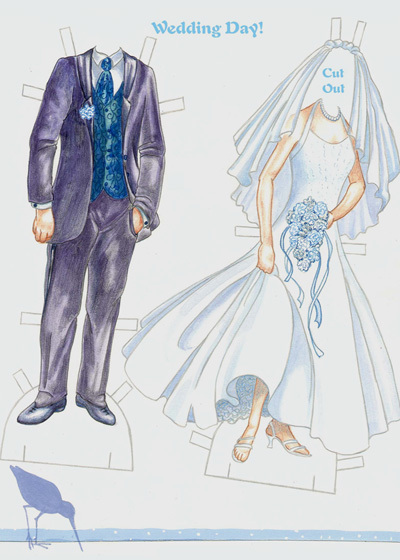 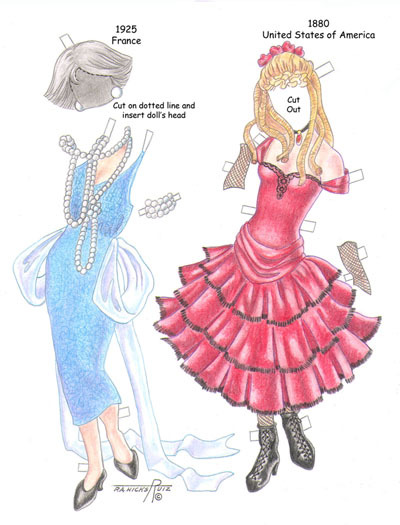 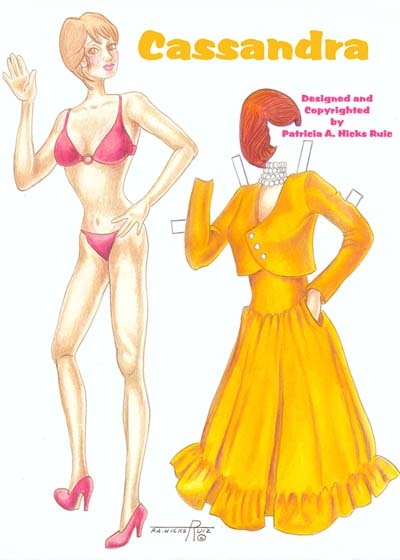 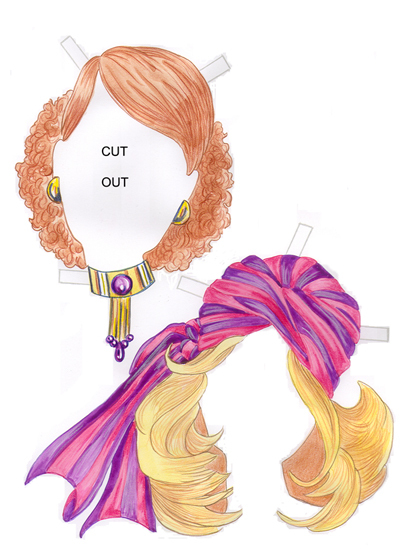 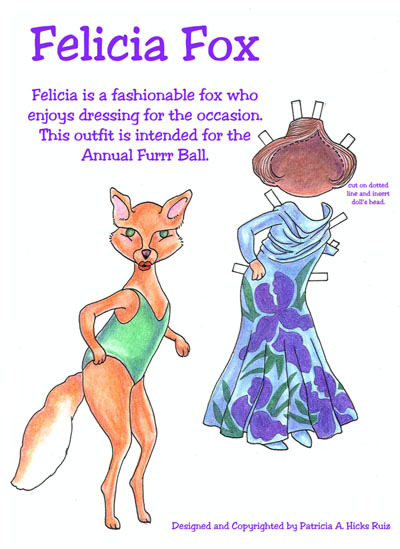 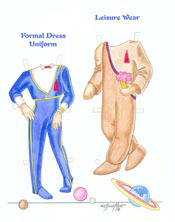 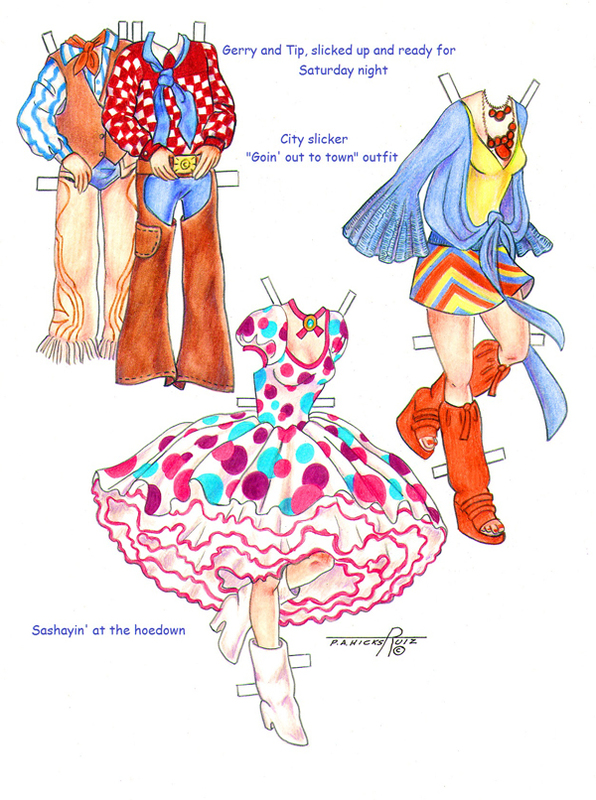 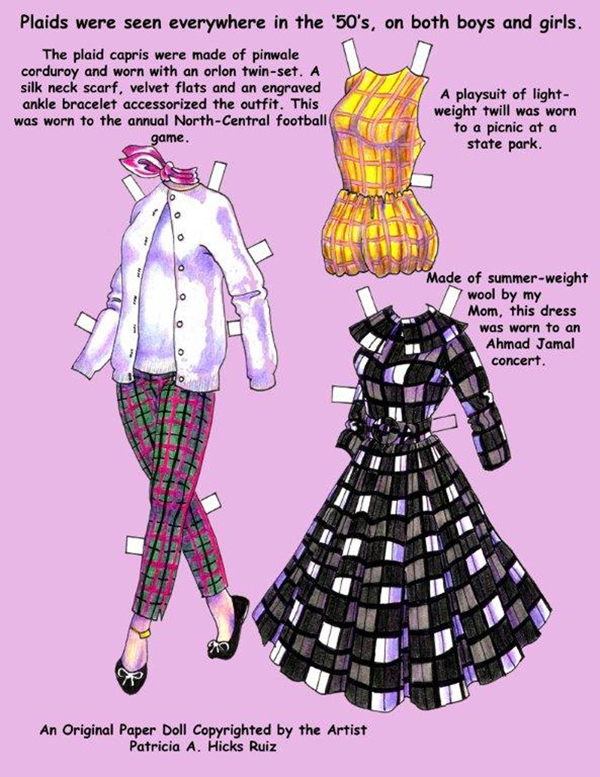 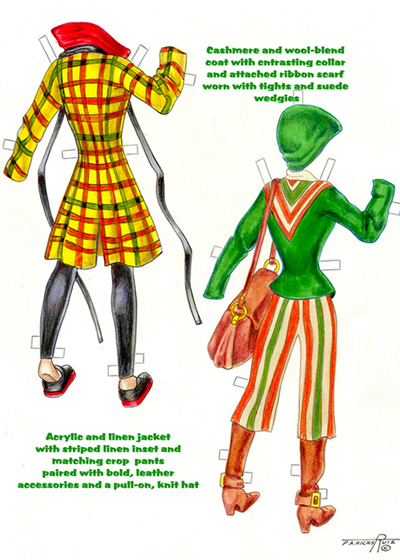 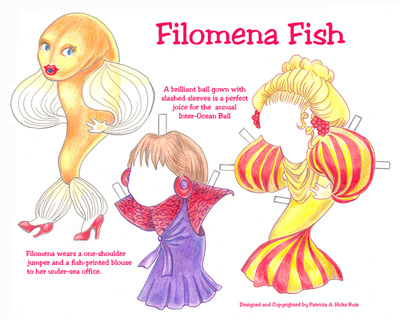 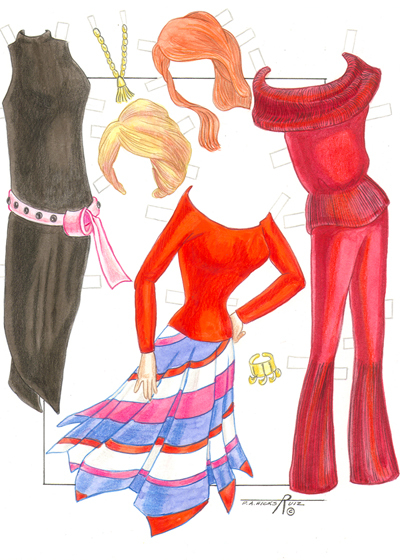 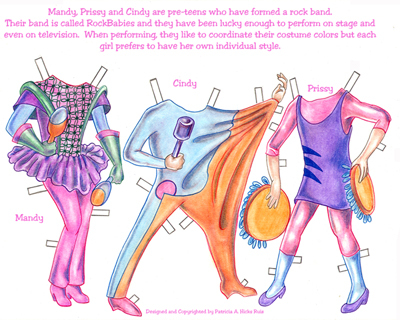 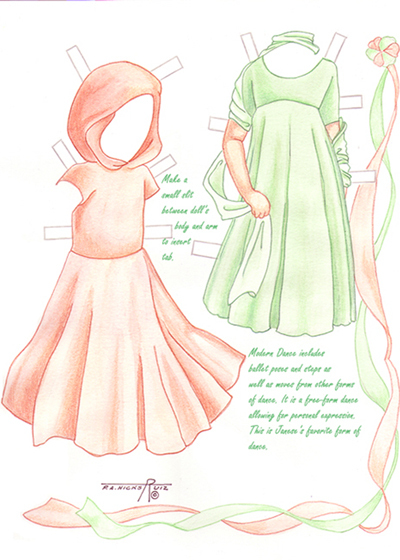 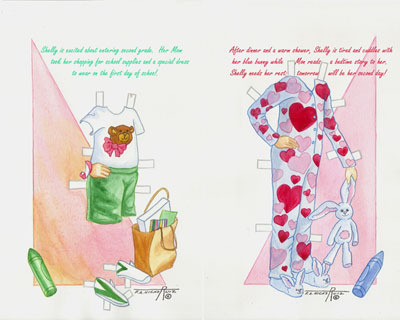 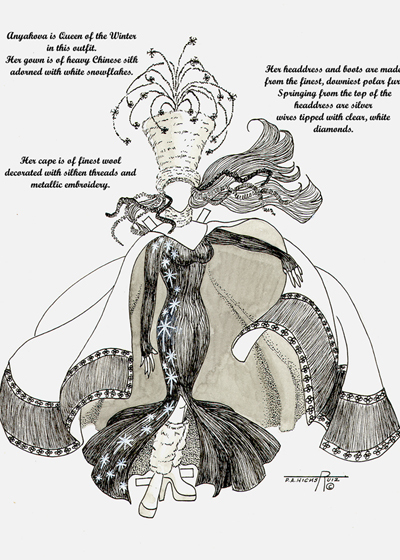 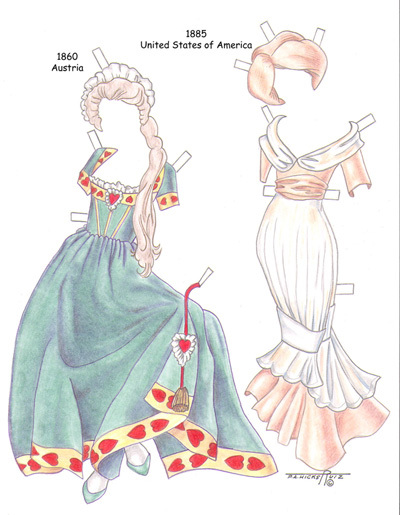 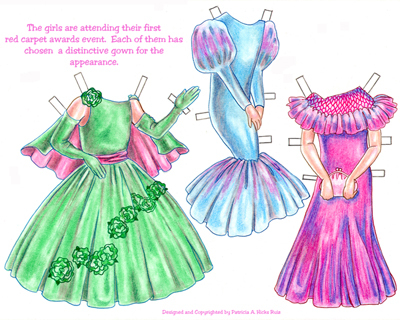 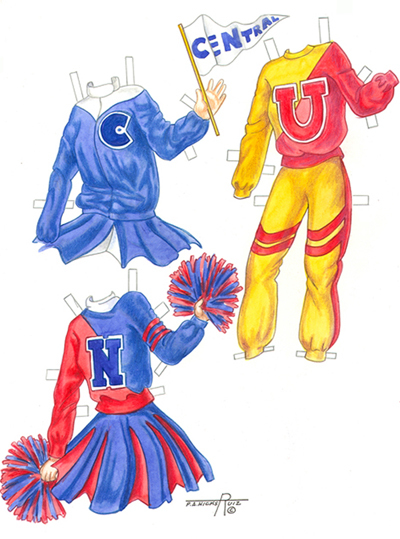 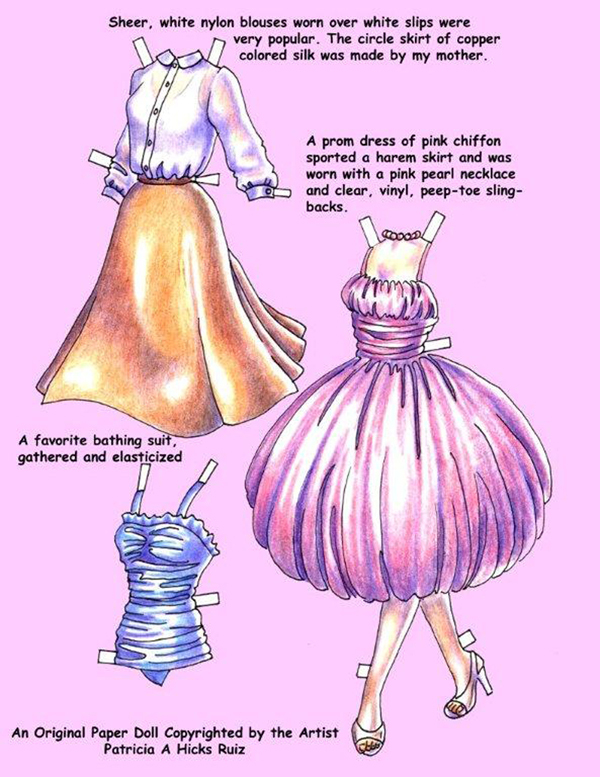 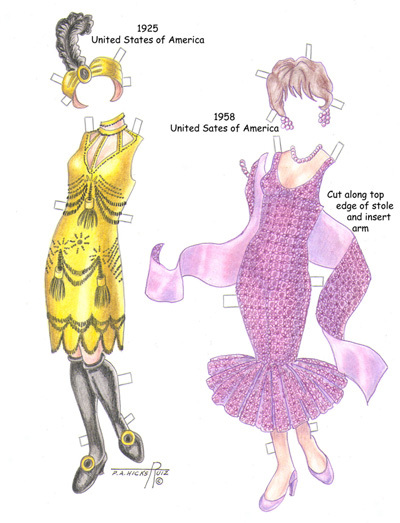 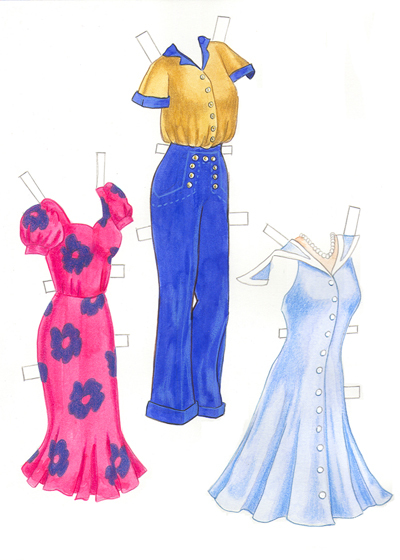 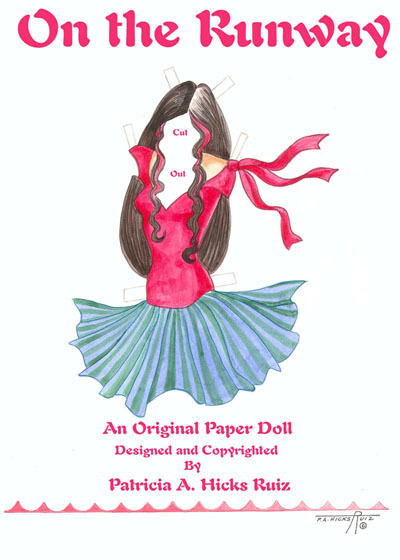 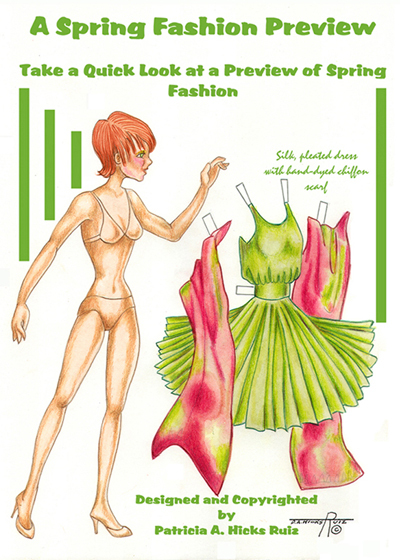 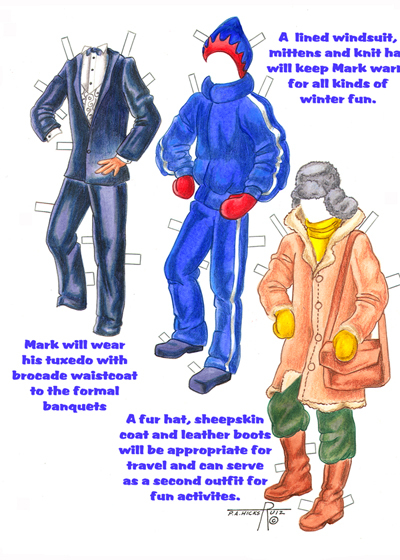 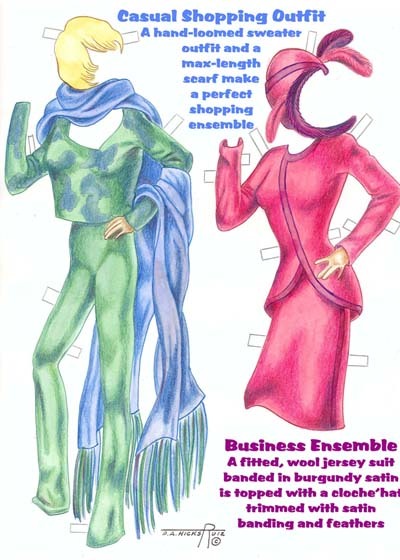 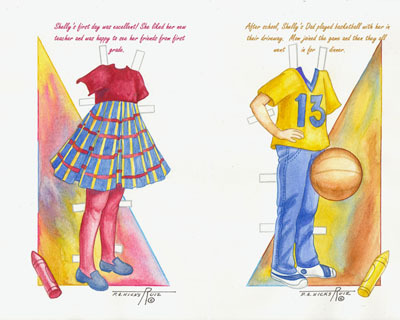 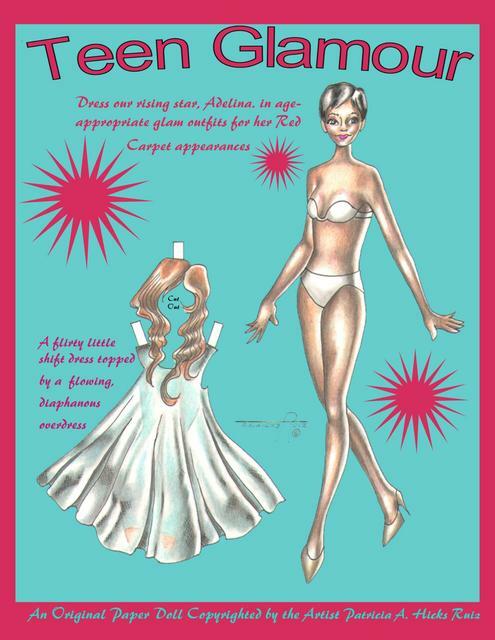 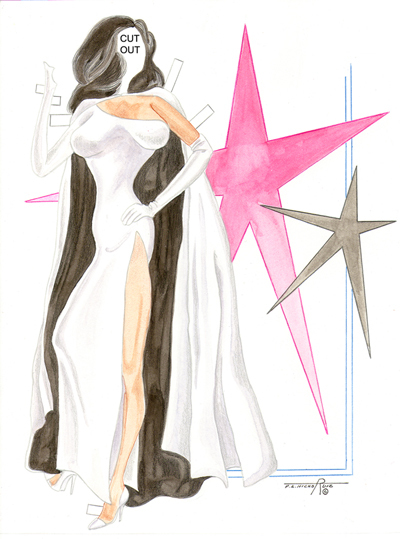 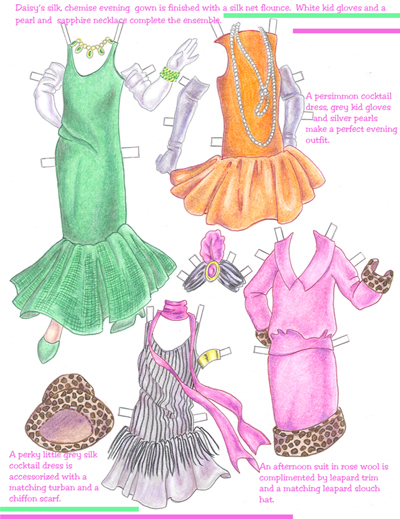 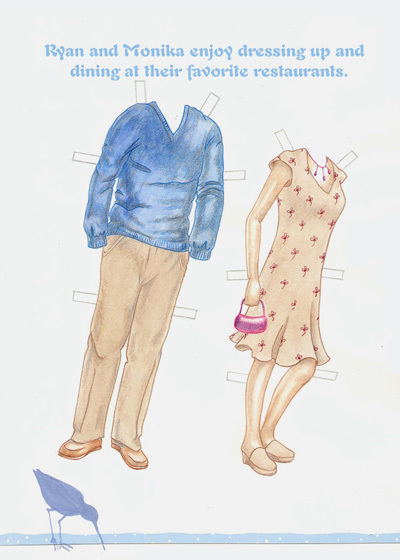 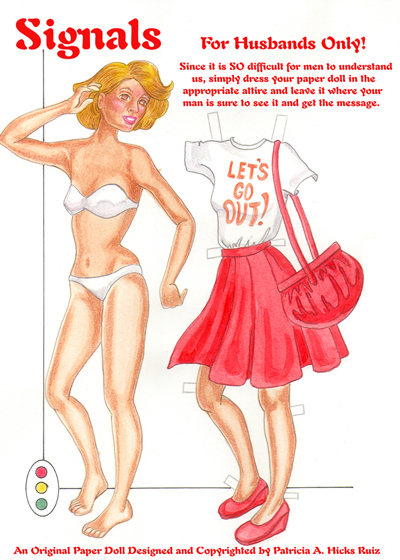 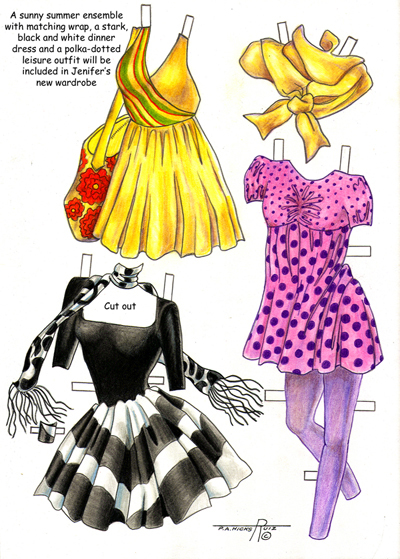 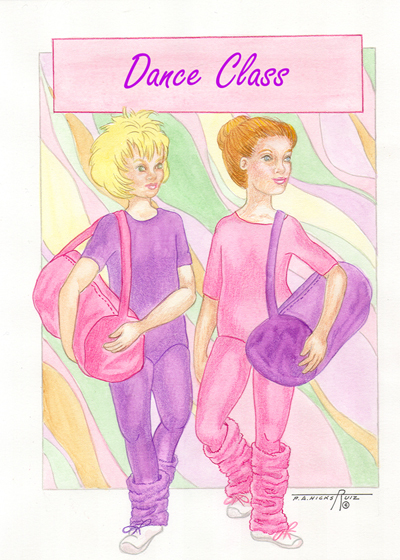 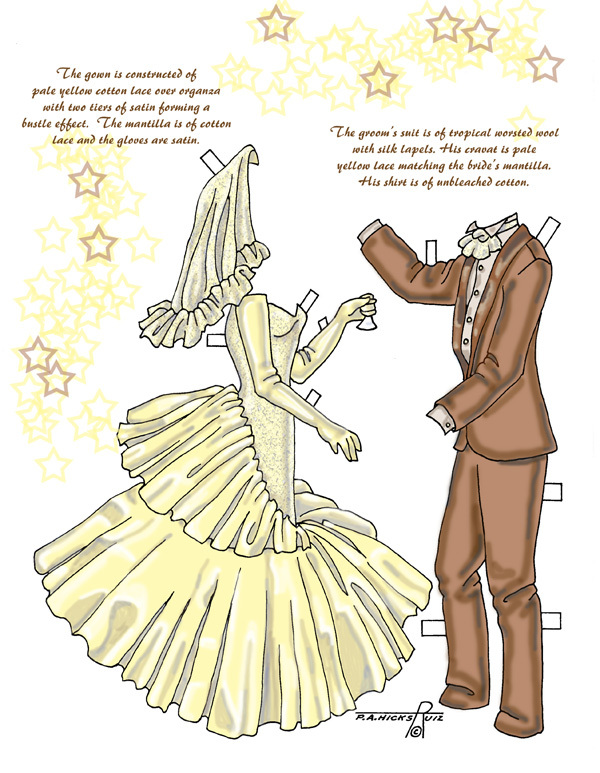 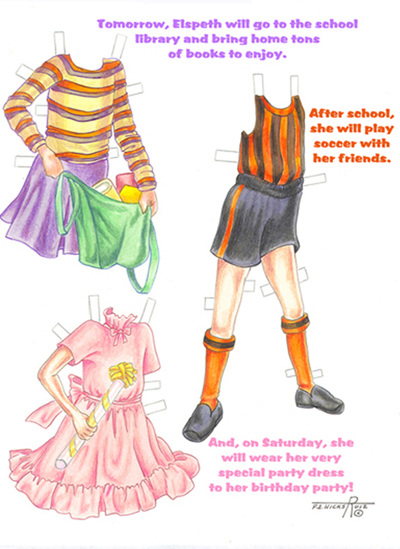 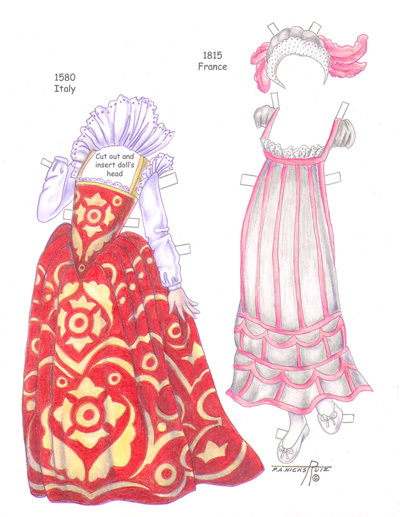 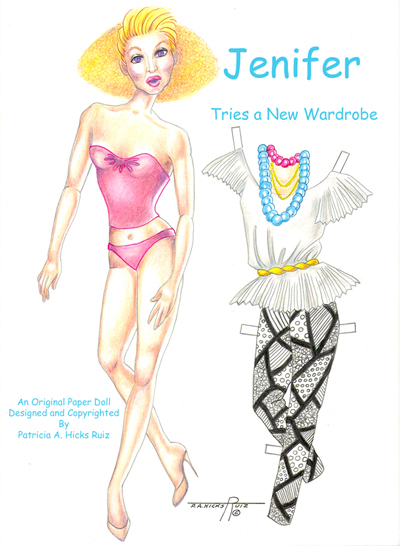 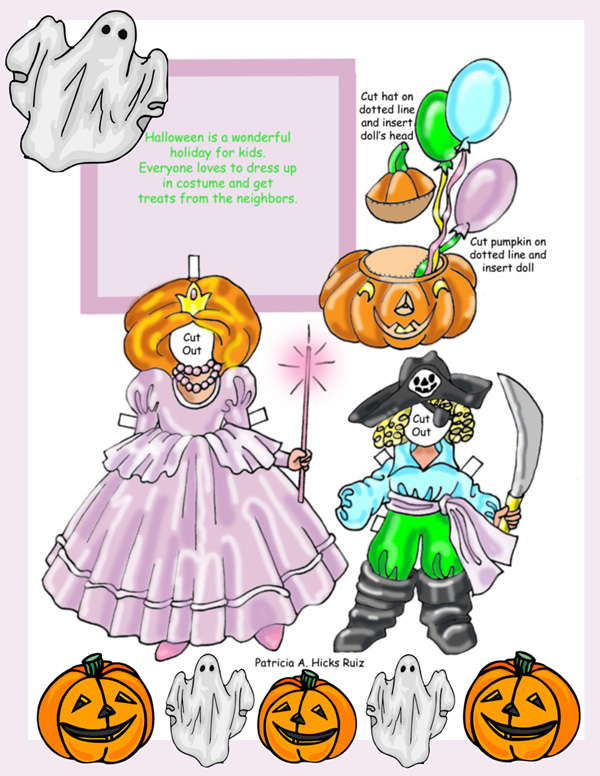 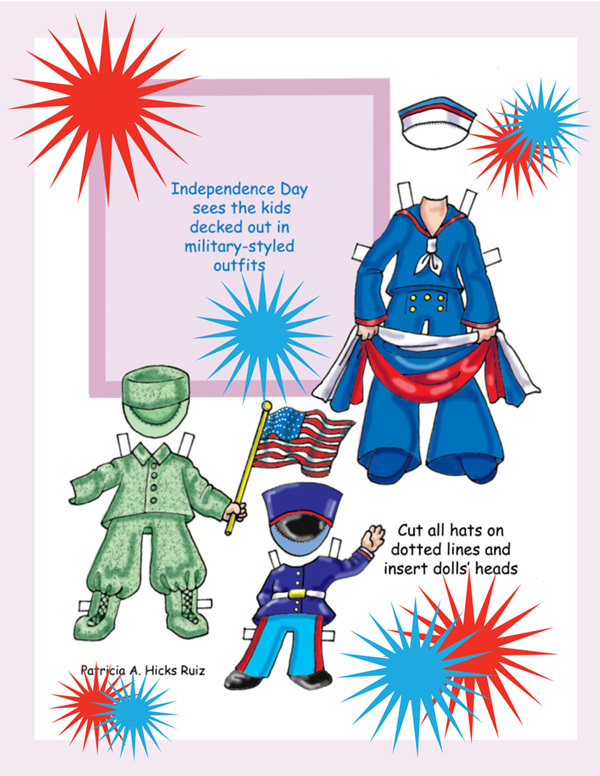 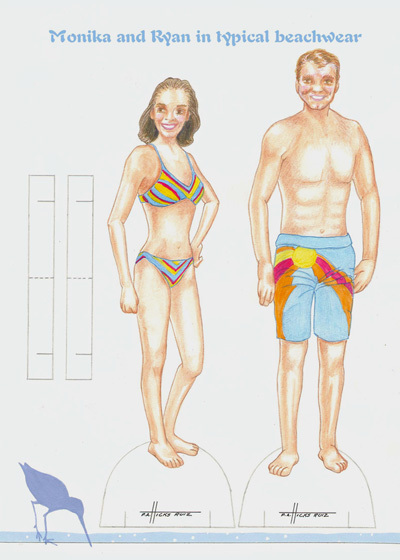 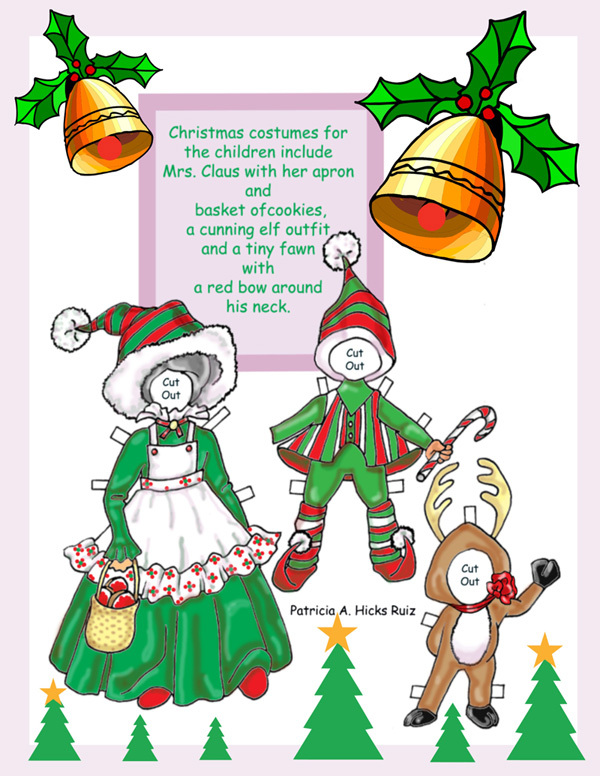 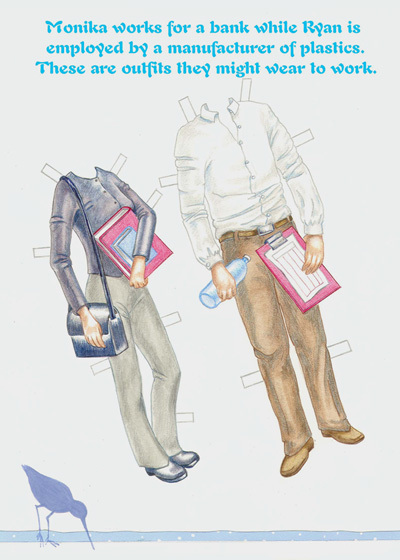 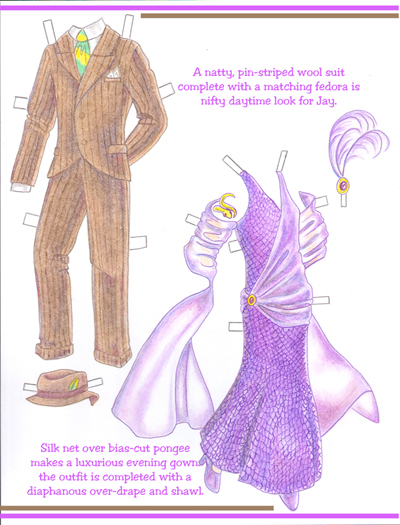 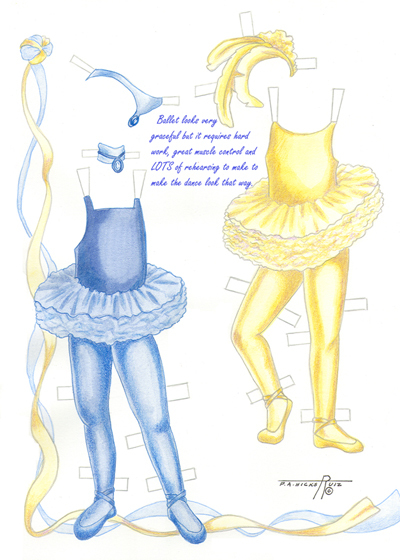 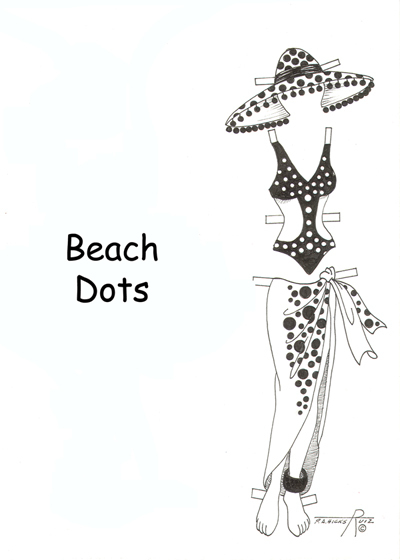 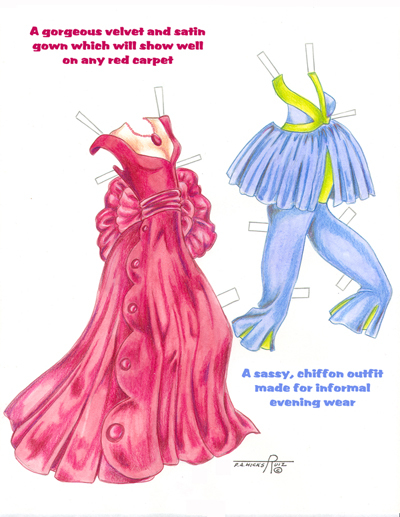 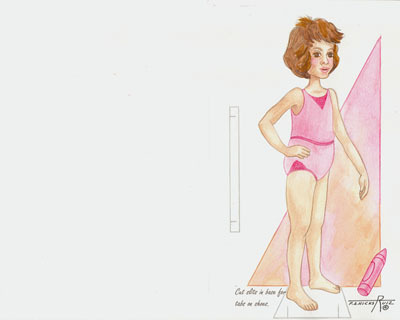 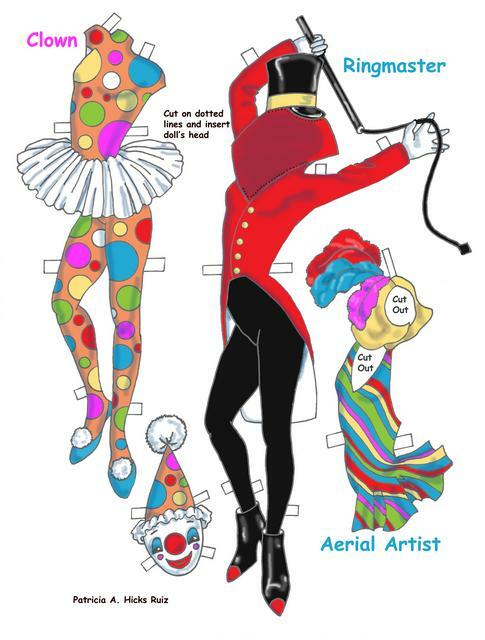 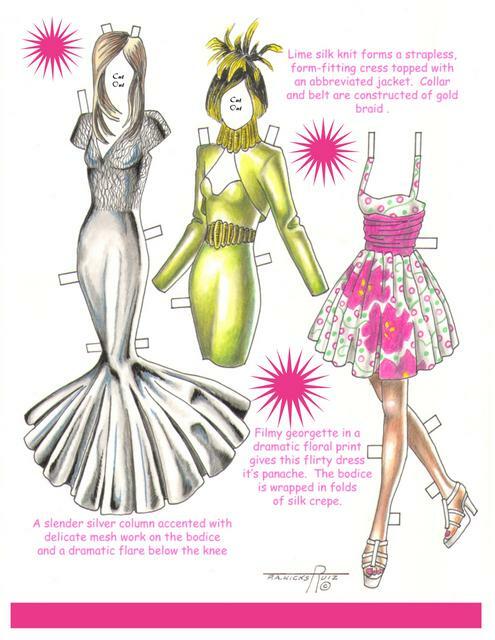 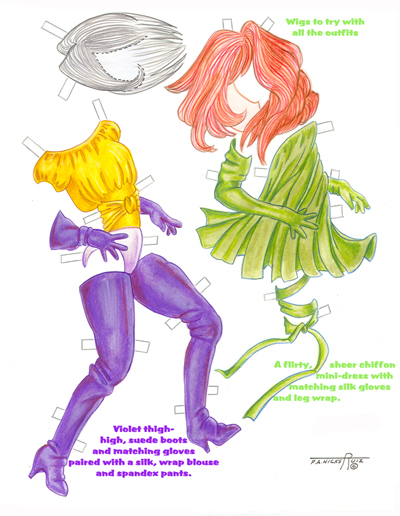 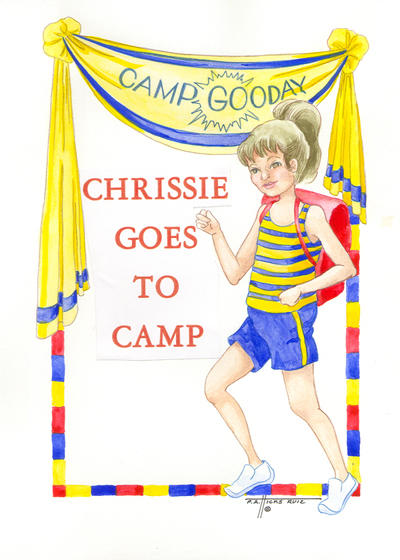 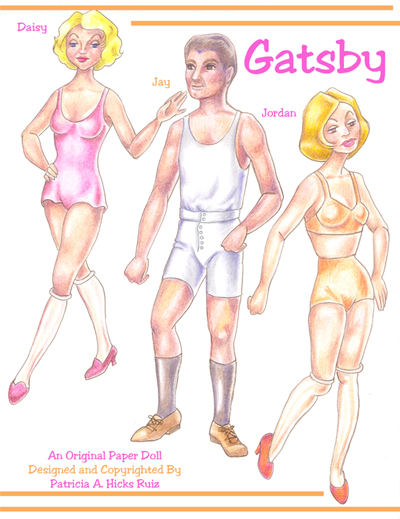 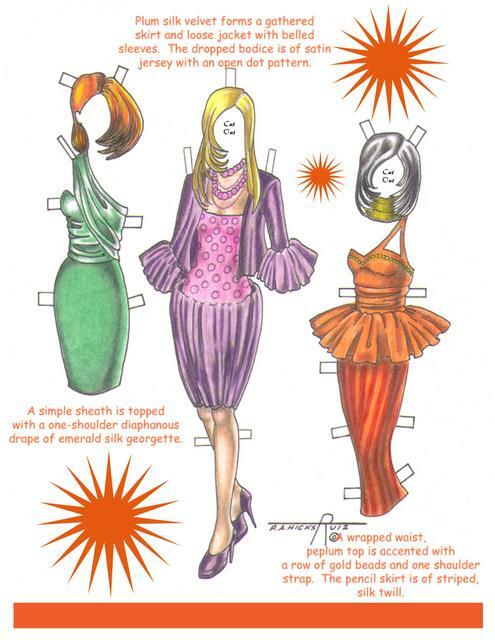 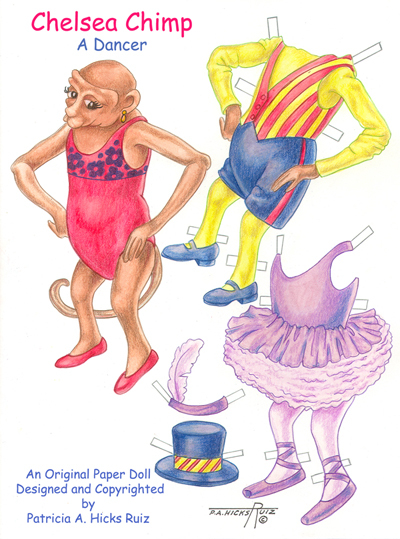 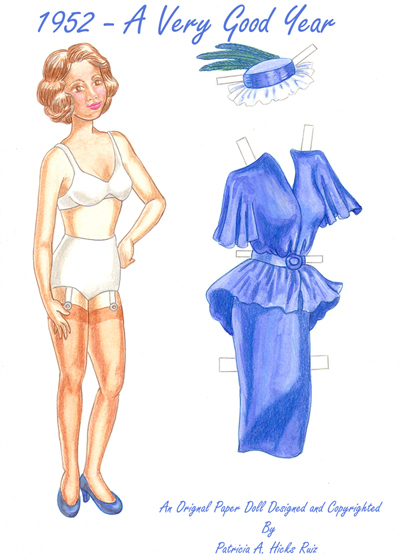 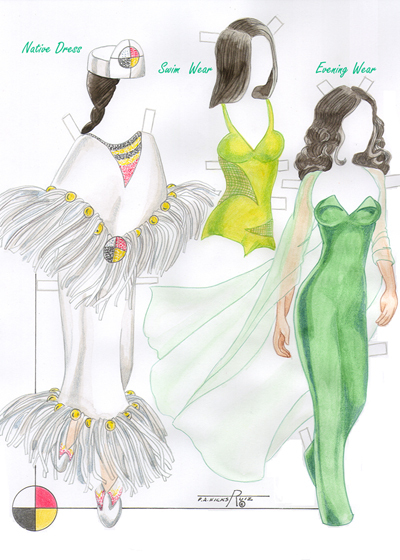 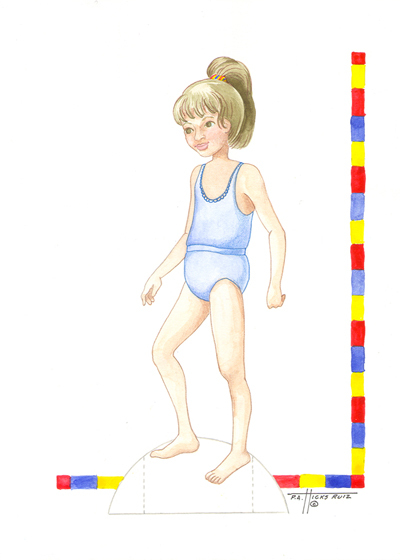 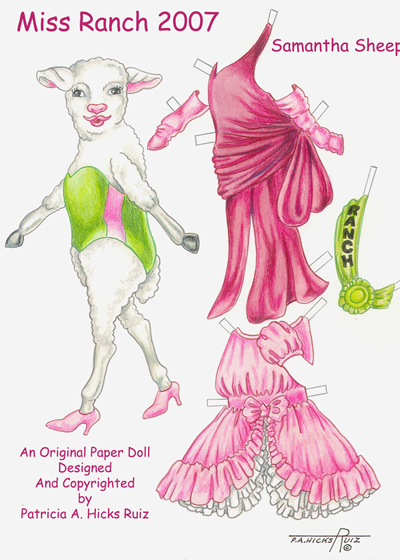 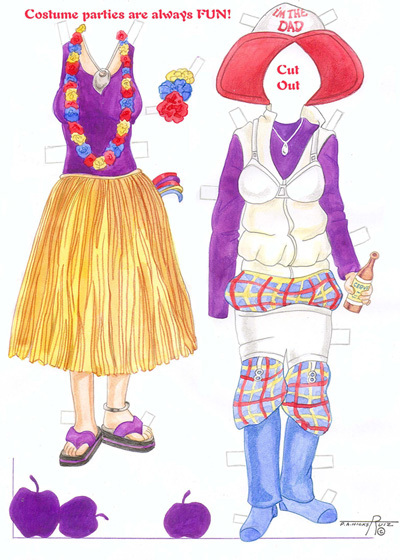 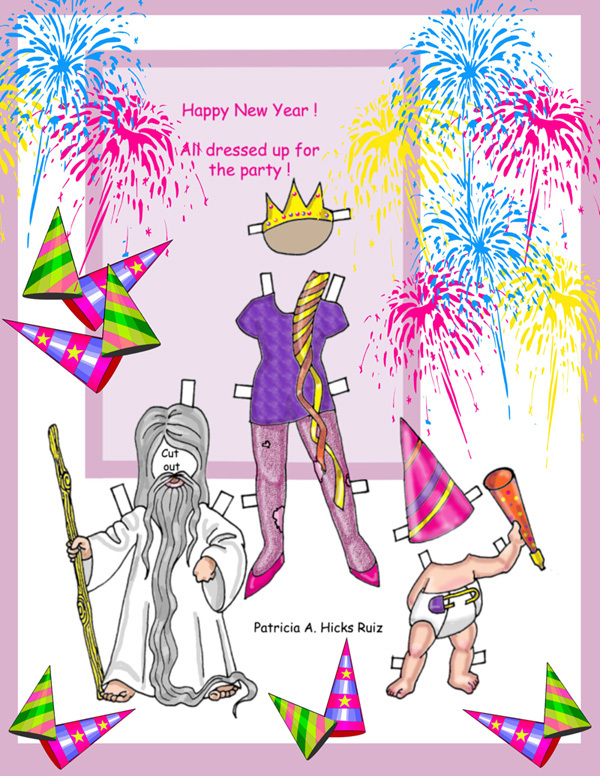 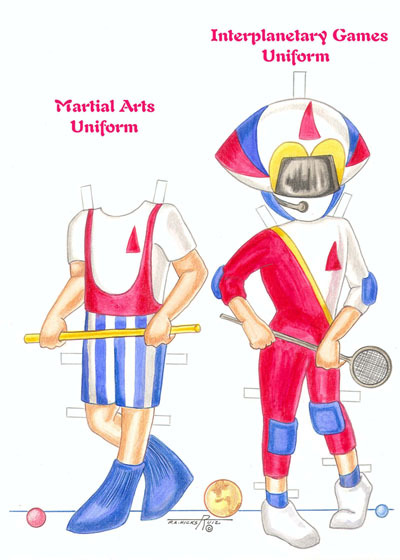 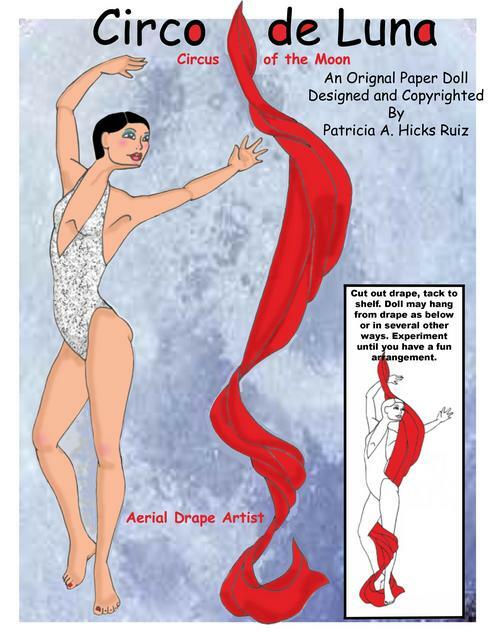 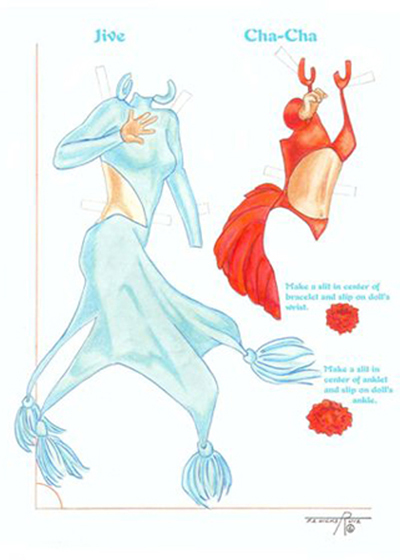 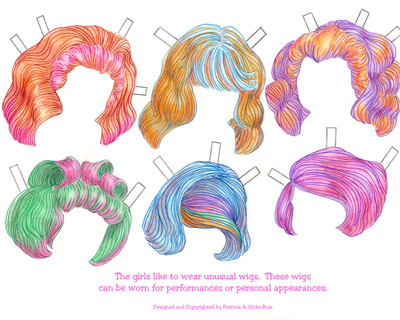 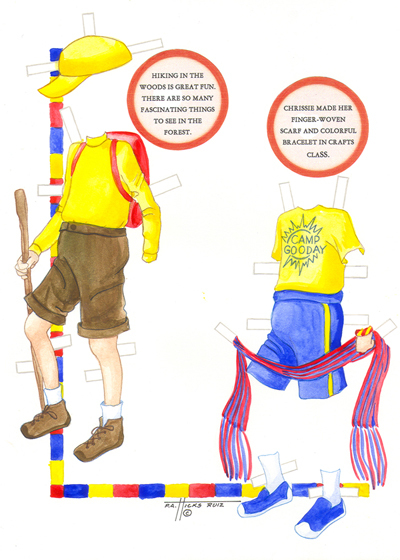 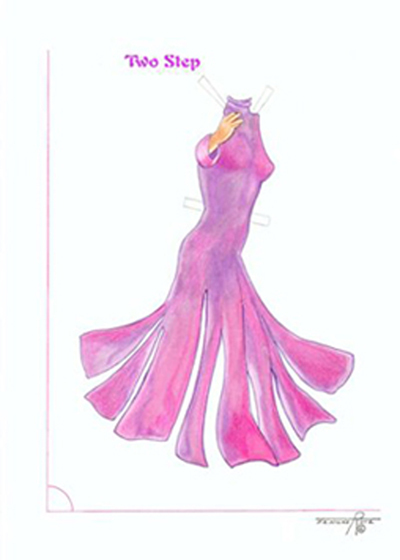 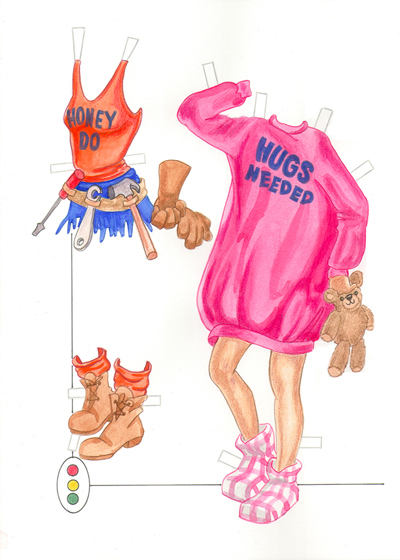 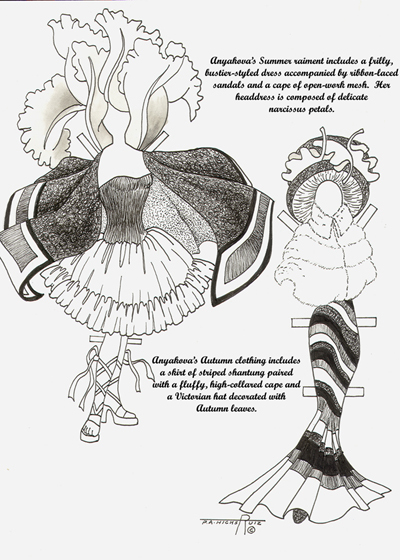 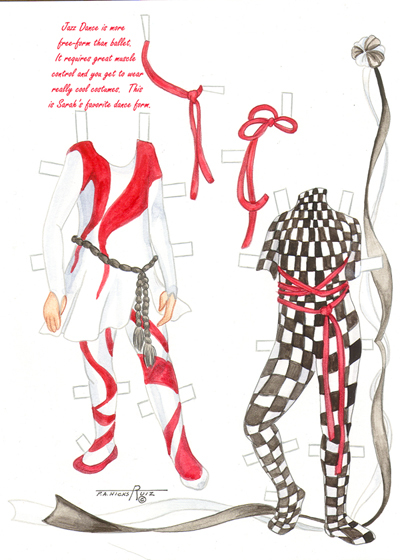 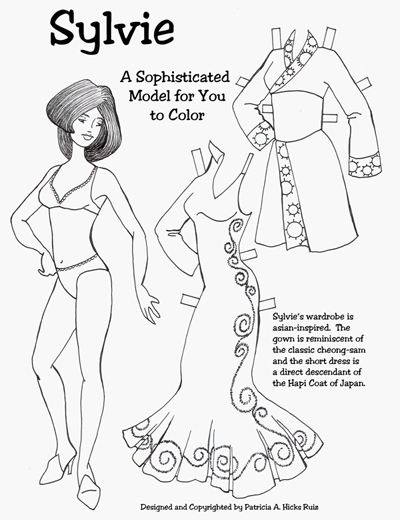 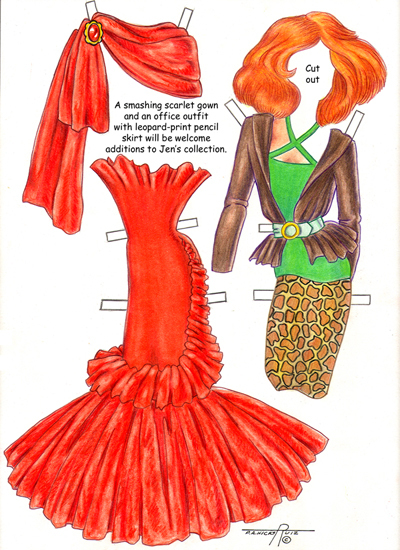 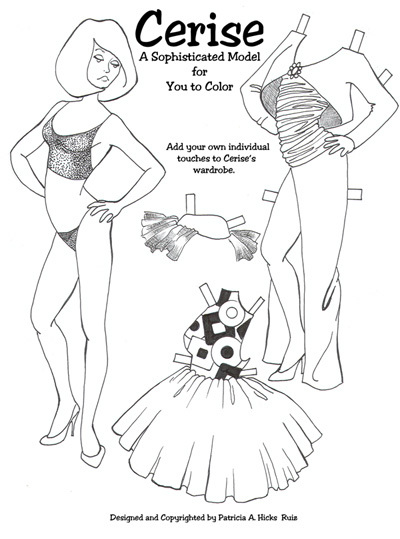 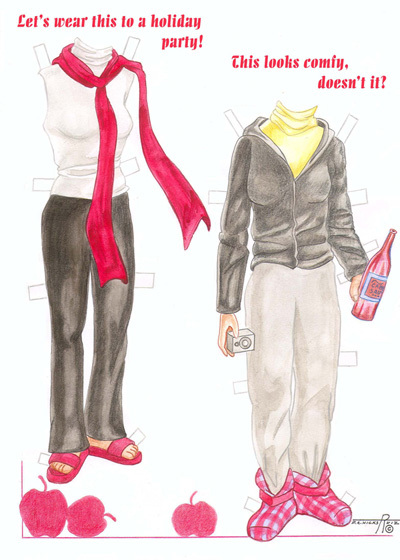 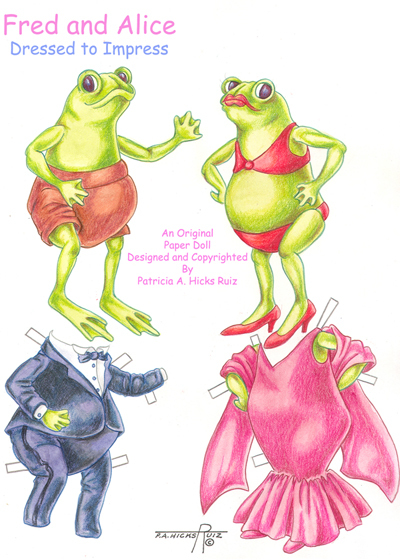 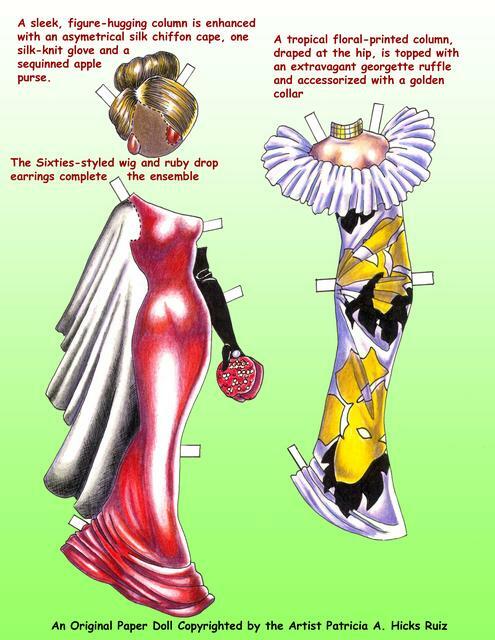 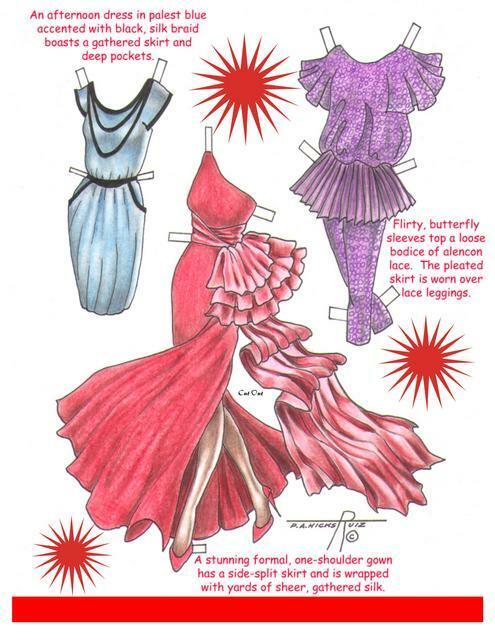 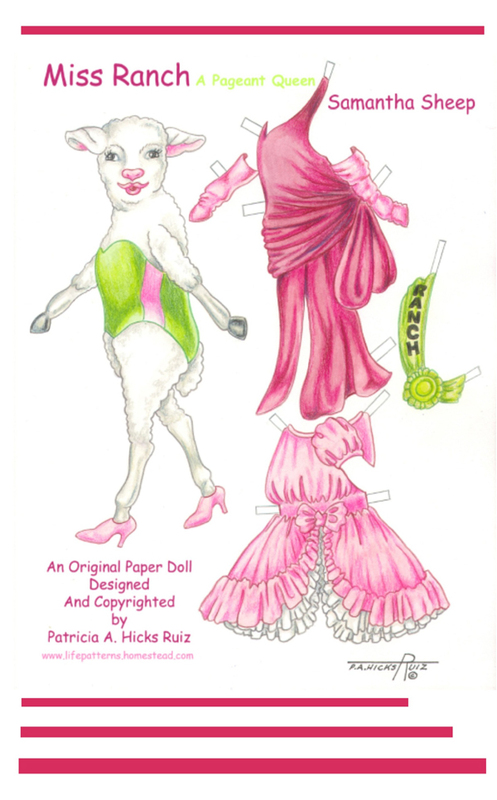 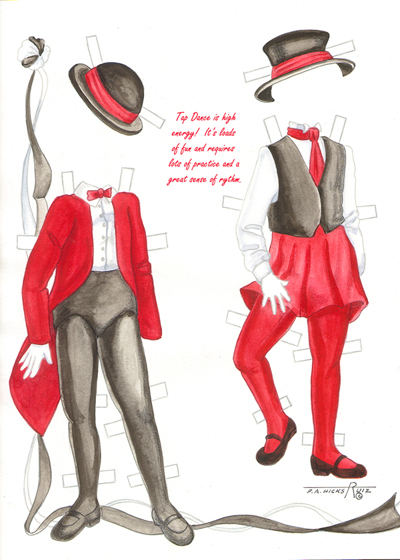 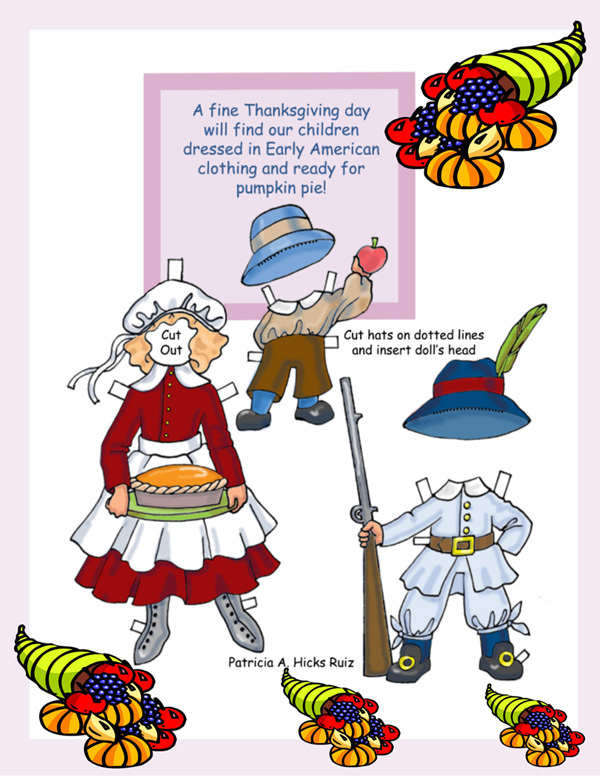 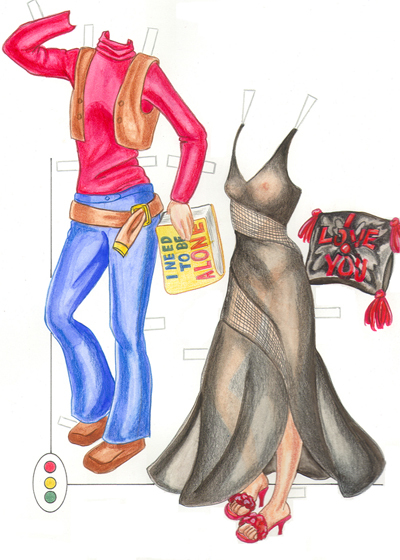 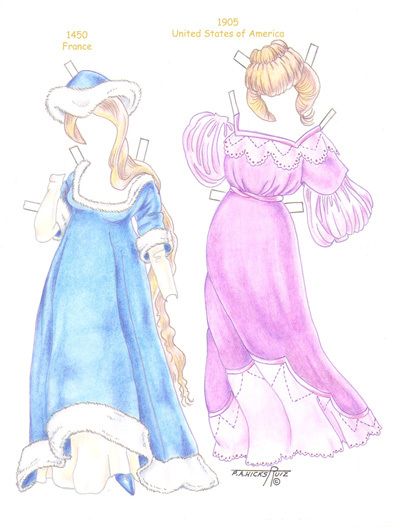 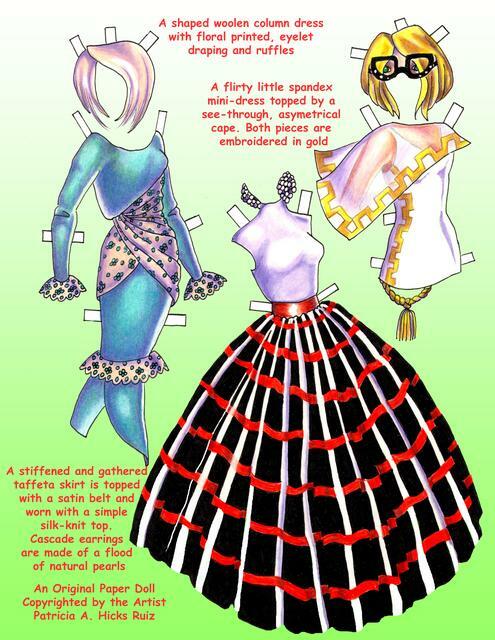 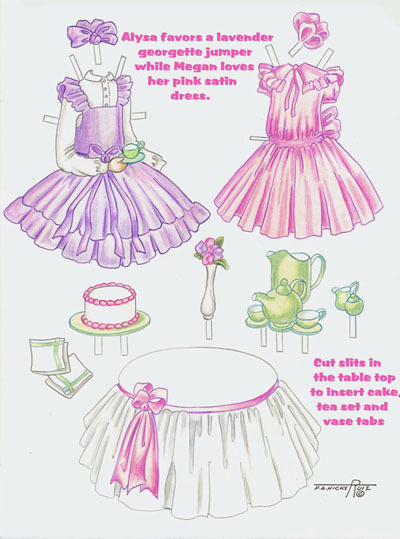 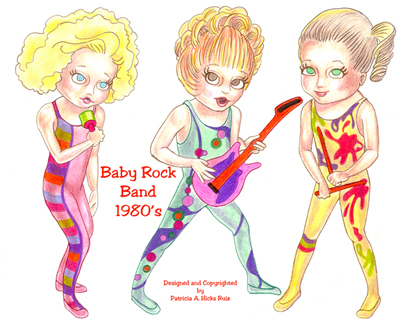 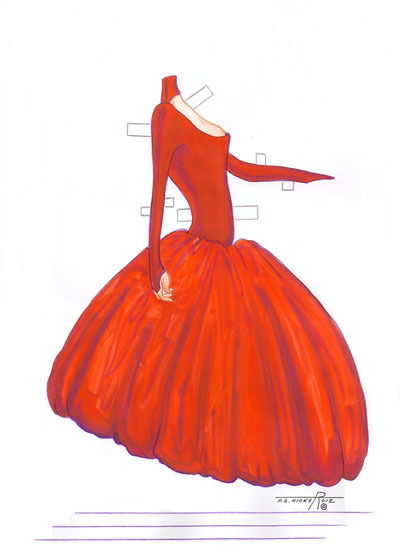 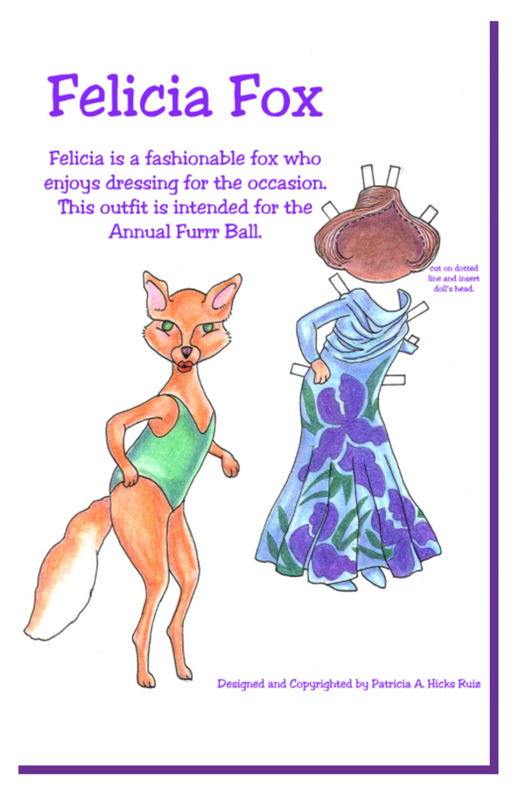 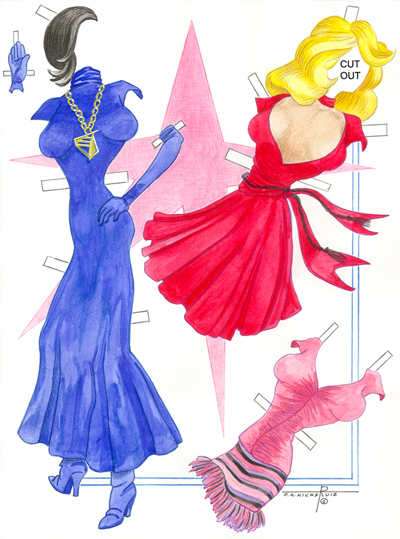 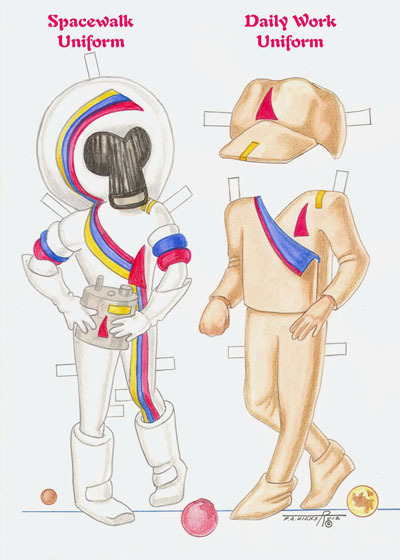 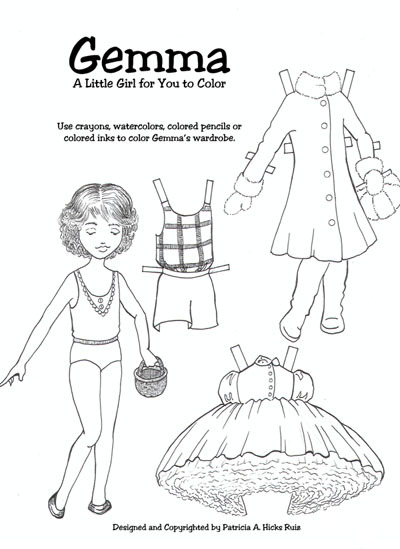 My Paper Dolls are all hand-drawn original creations. 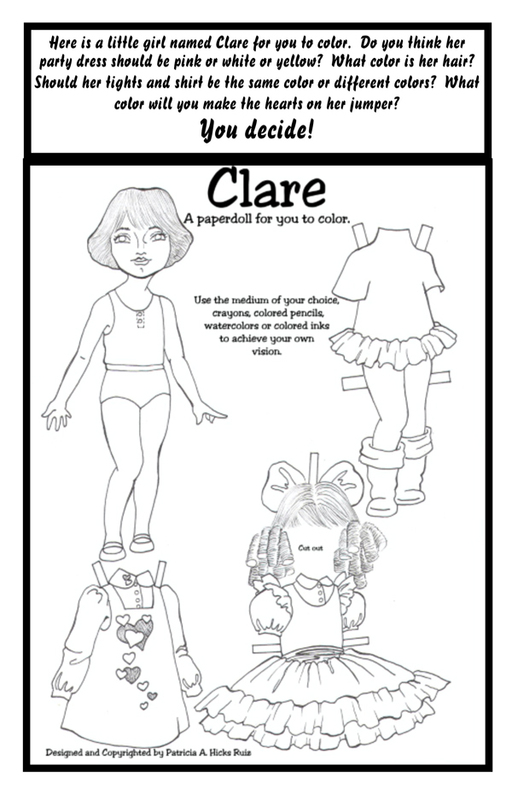 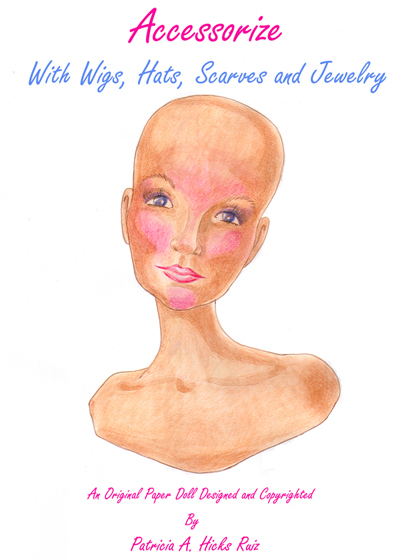 I use anatomy books, magazine and catalog photos and sketches and photos of people I know to create the dolls. 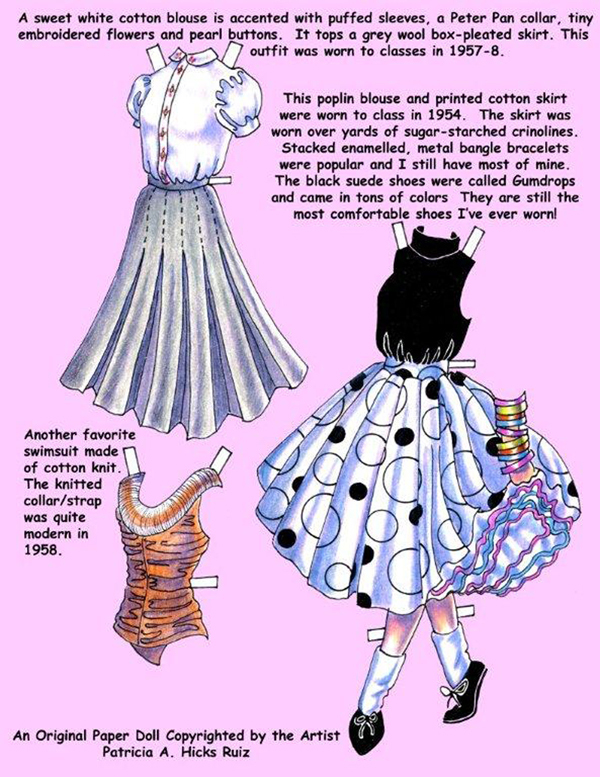 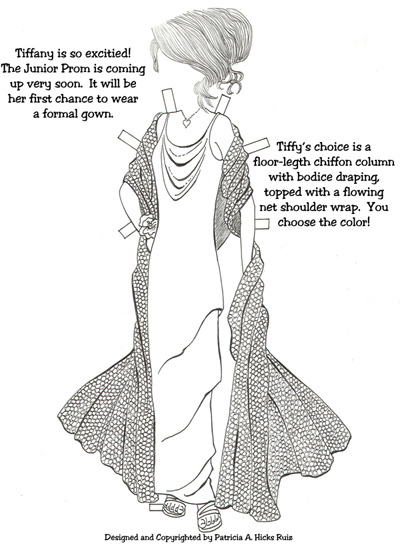 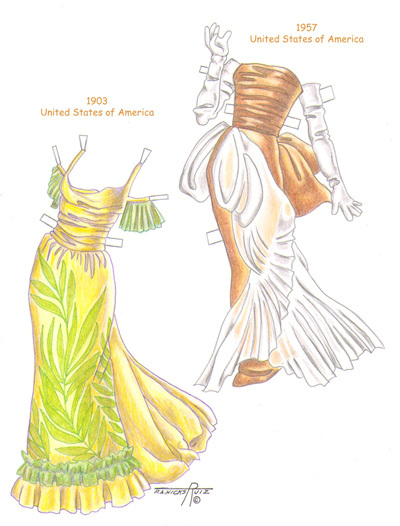 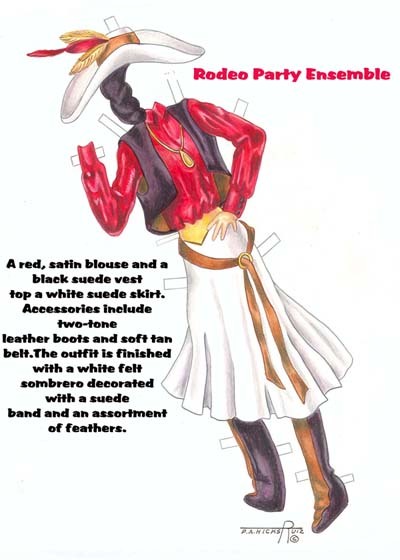 The fashions are usually of my own creation as well, although I keep an extensive file collection of fashion catalogs, magazines and books for reference material. 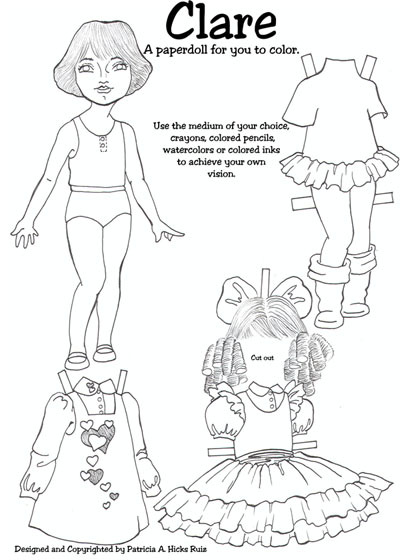 Black and white dolls are usually done in ink, occasionally I will render one in graphite. 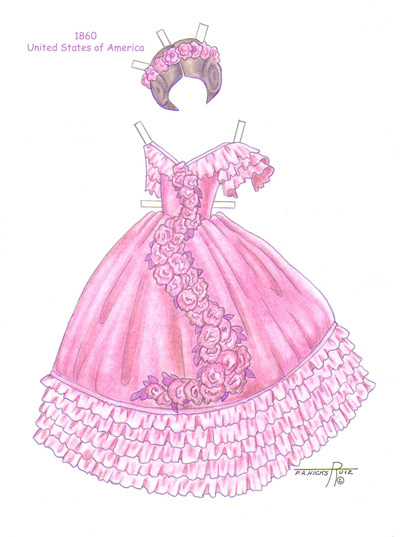 colored pencil and finished in Prismacolor pencil. 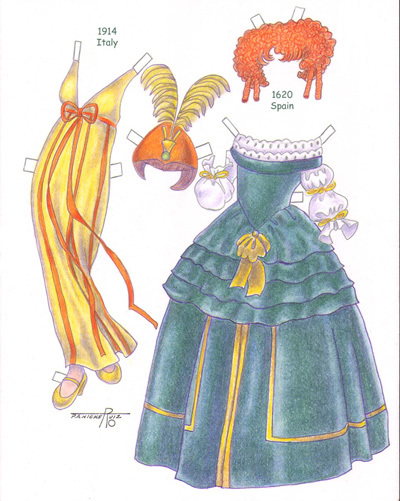 design although I have done some historical pieces and a few fantasy pieces as well as some animal characters. 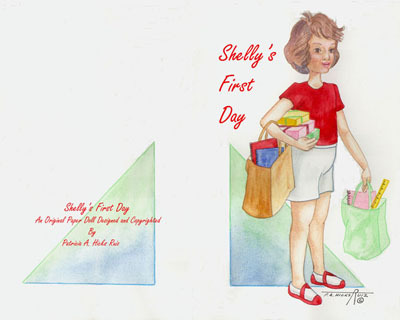 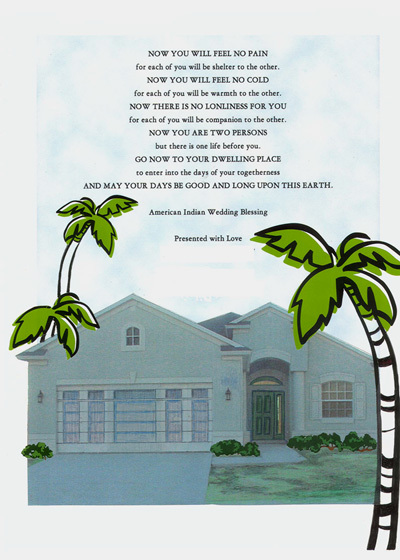 I hope you enjoy my work and will visit my website often to see new creations. 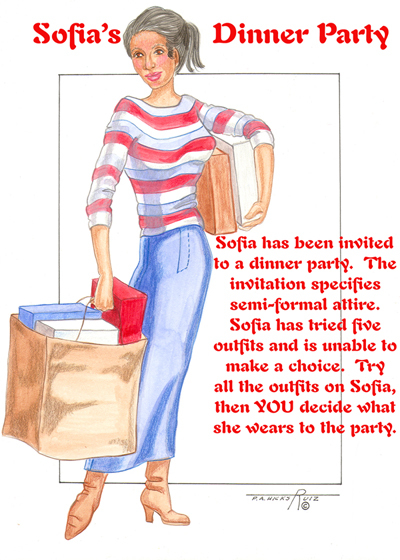 Click "Like" and "Share" with your friends. 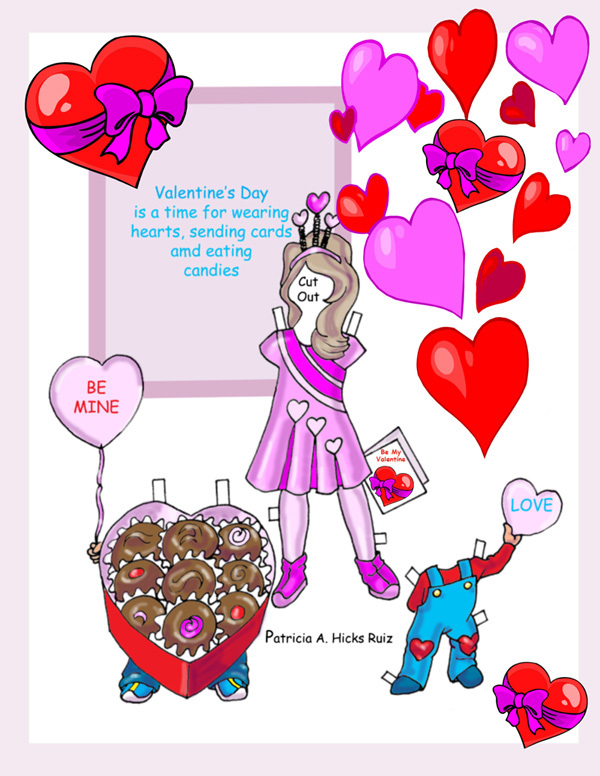 Thank you for taking the time to view my web site.